The festive season is upon us and where better to spend it than in beautiful Bohinj, where there will be numerous events and activities going on over the Christmas and New Year period as well as countless opportunities to enjoy some winter sports. 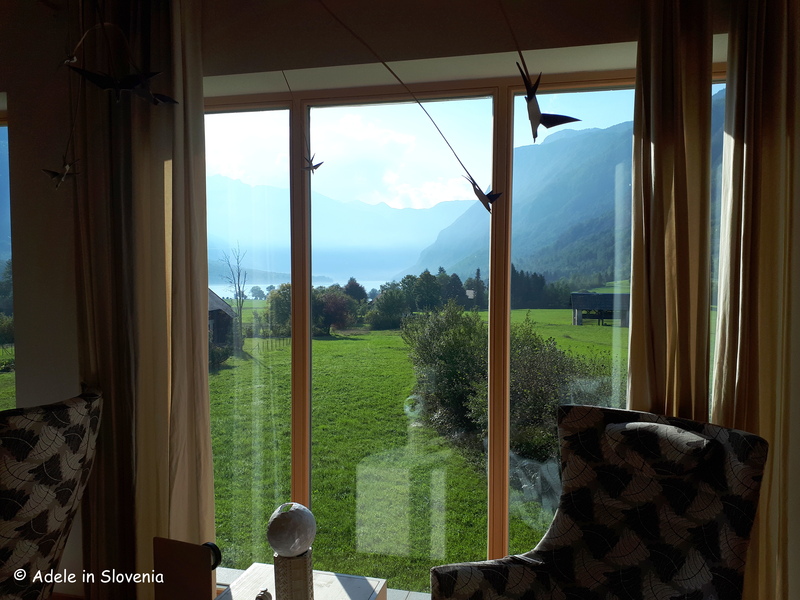 So, in this blog I have gathered details of some of the main events and added a few suggestions of my own for how to spend Christmas and New Year in Bohinj. It remains to be seen whether or not it will be a white Christmas this year. Last year we had early snow, whereas the two previous years there was no significant snowfall until after the New Year. 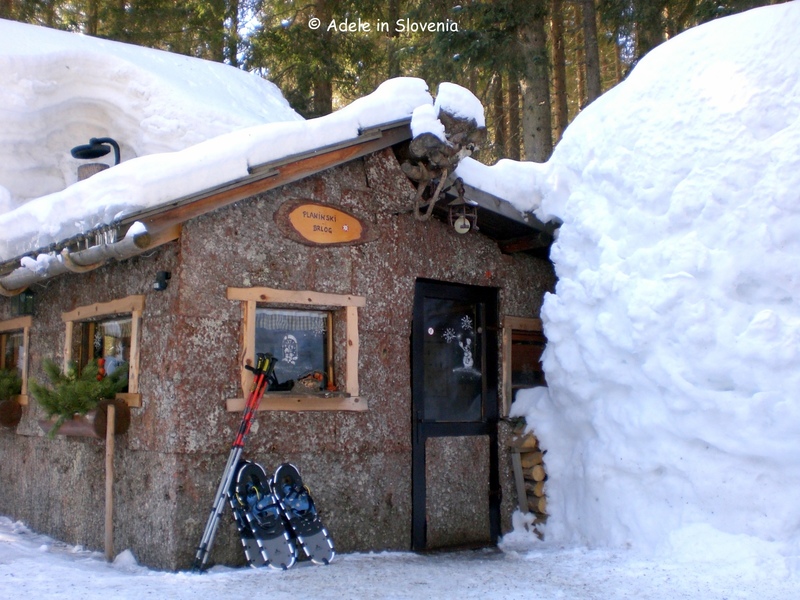 However the early snowfall this year on 20th November has meant that, at the time of writing, preparations are underway for opening at many of Slovenia’s ski resorts. 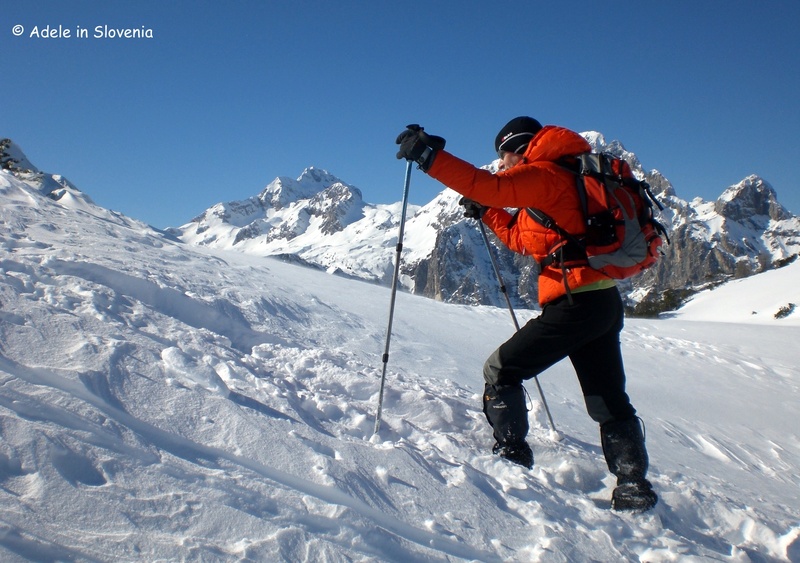 If you want your fill of winter sports, then you are spoilt for choice in the Bohinj area and Triglav National Park, from skiing and cross-country skiing to hiking, snowshoeing, sledging and ice-skating. 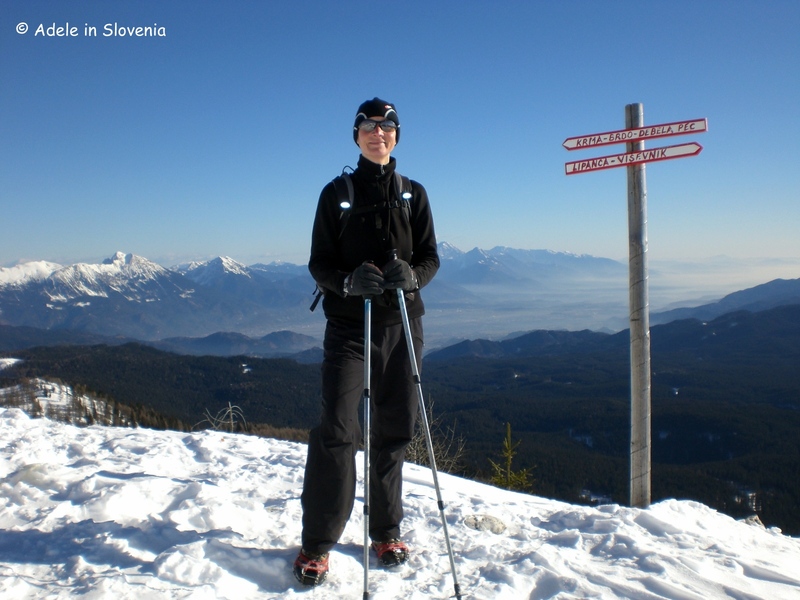 …or fans of downhill skiing can choose from two easily accessible ski resorts – Vogel and Soriška planina. 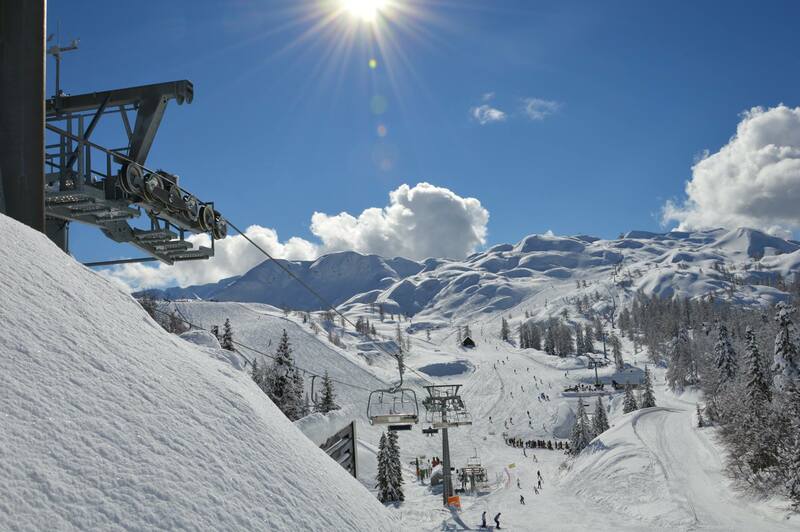 The Vogel ski resort is reached by cable car from Ukanc and is up there among Slovenia’s most popular ski resorts. Over an area of 78 hectares it boasts natural snow, 22 kilometres of ski pistes, 8 ski lifts, a children’s ski park and lift, a snow park, a hotel, restaurants, a ski school and equipment rental, sledging tracks, and more. The Soriška planina ski resort can be reached from Bohinjska Bistrica as well as from Škofja Loka via Železniki and from Most na Soči via Baška Grapa. Over an area of 25 hectares, facilities consist of 8 kilometres of ski pistes, a two-person chairlift, 3 drag lifts, a children’s drag lift, a snow park, a sledging track, cross-country ski trails and a restaurant. I don’t ski, and have no desire to either(! ), hence you won’t see any photos of me swishing stylishly (ahem!) down ski pistes, but that doesn’t stop me visiting them! 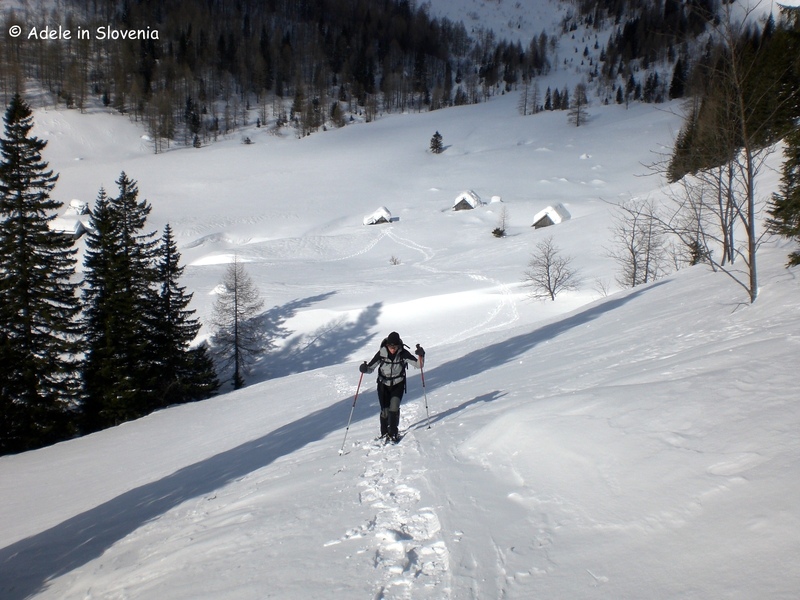 If there is sufficient snow in the valley, there are ample opportunities for cross-country skiing in the Upper and Lower Bohinj Valleys, where there are over 70 kilometres of tracks. 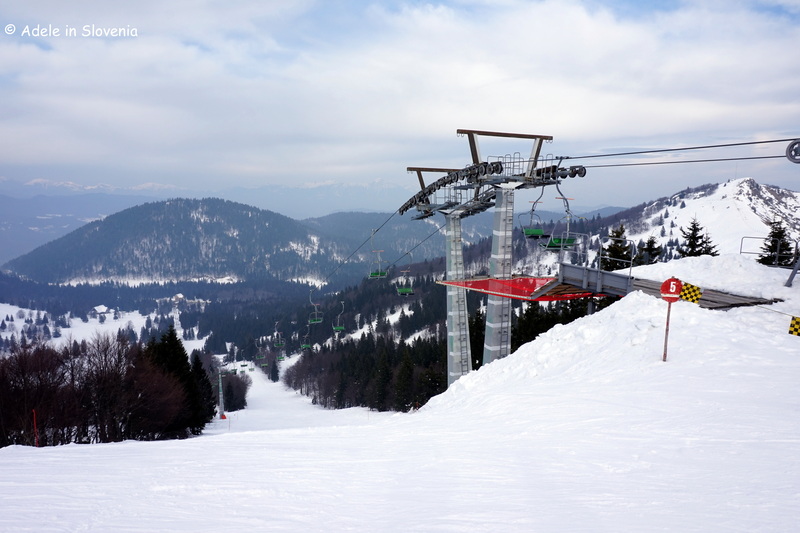 Otherwise, there are a number of smaller ski pistes, which are particularly suitable for beginners and families, such as Senožeta and the Pokljuka family ski centre. 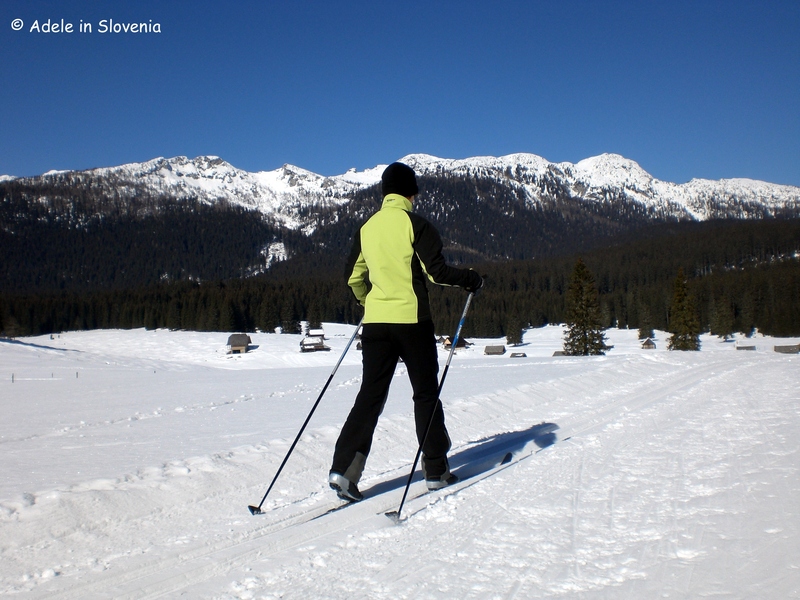 The Pokljuka plateau has more than 30 kilometres of excellent cross-country ski tracks, many of which start at the Triglav Pokljuka sports and biathlon centre at Rudno polje, where from 3rd-9th December this year the BMW IBU Biathlon World Cup will take place. 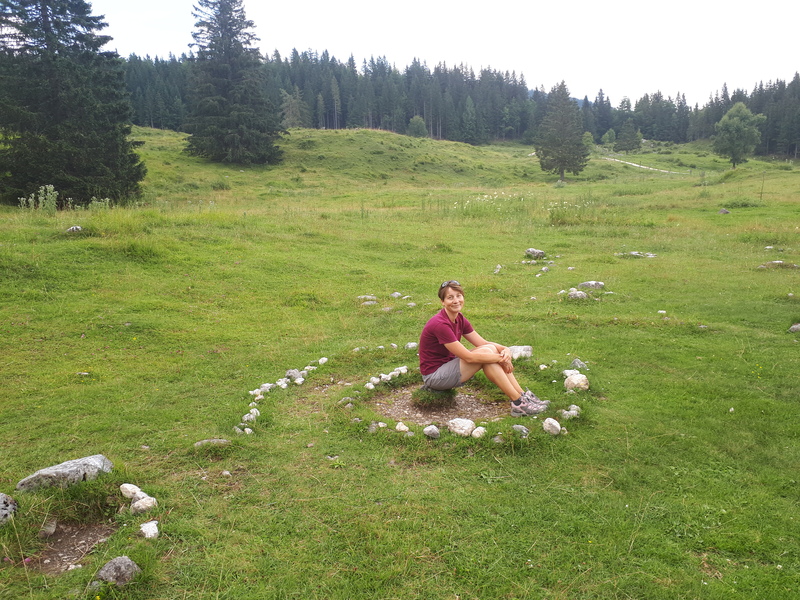 And there are tracks at the beautiful Zajovrnik mountain highland. 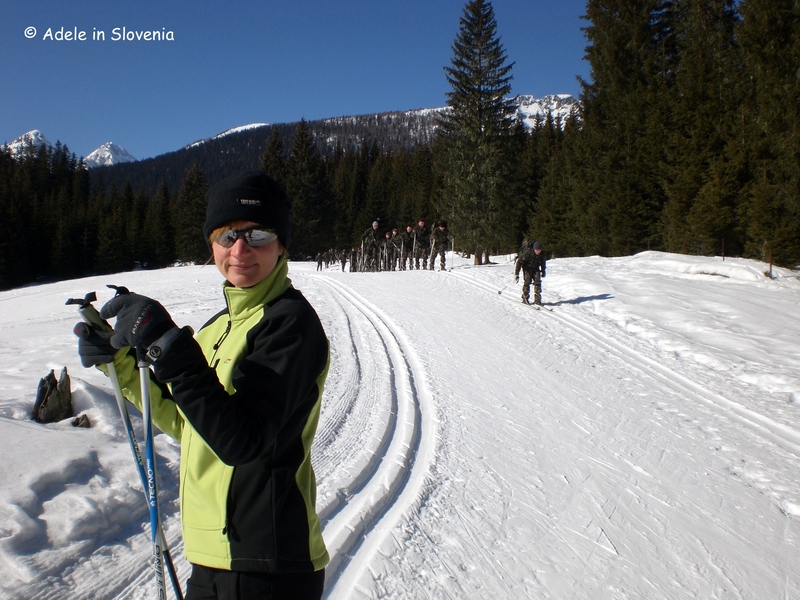 You might even run into some of Slovenia’s military, who have a base on Pokljuka, honing their skiing skills! …and Debela peč. 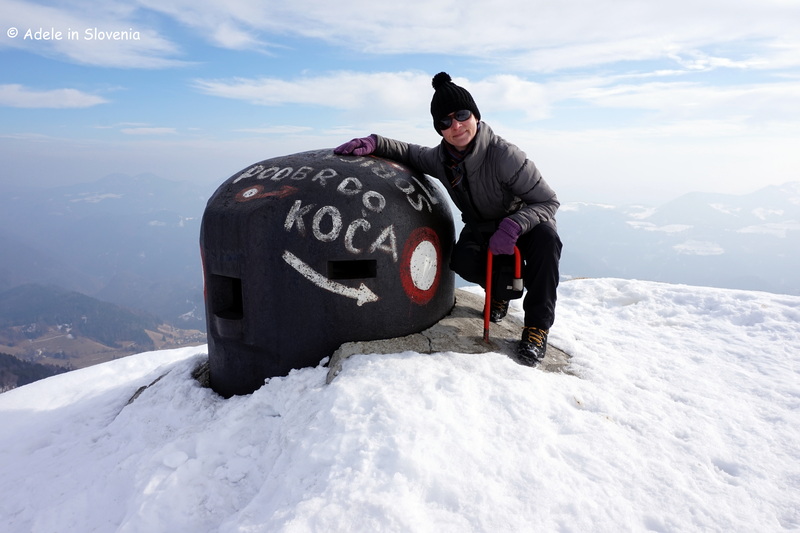 Both of which can be reached from the Blejska koča mountain hut. 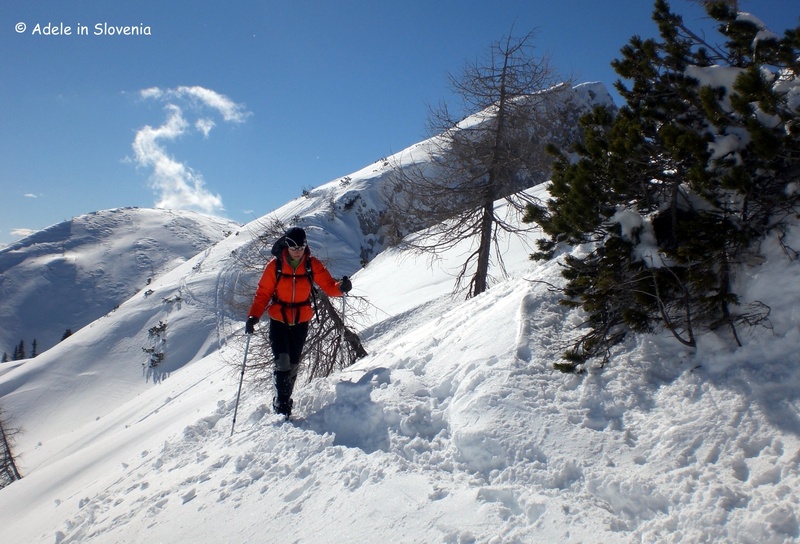 If you are unfamiliar with the terrain, however, do be sure to only hike on trodden paths and/or with a guide or local, and ensure you have good quality and sufficient winter equipment. If live music and a good old boogie is your thing, then you can take your pick from numerous concerts. 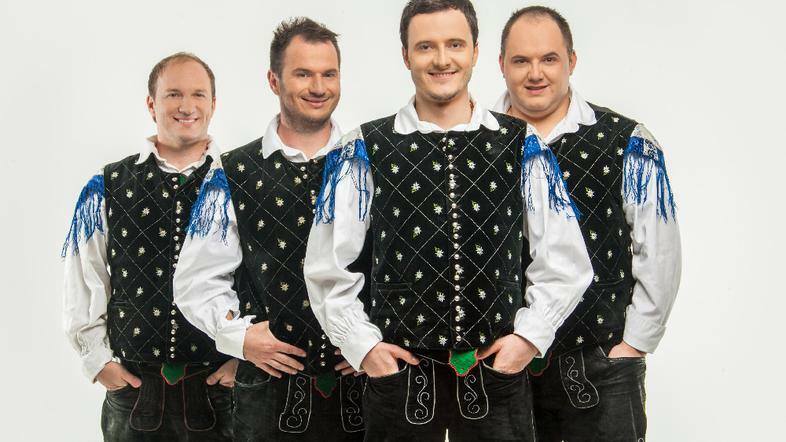 Modrijani, Čuki and Ribič Pepe will be playing live on the 29th December at Camp Danica in Bohinjska Bistrica. 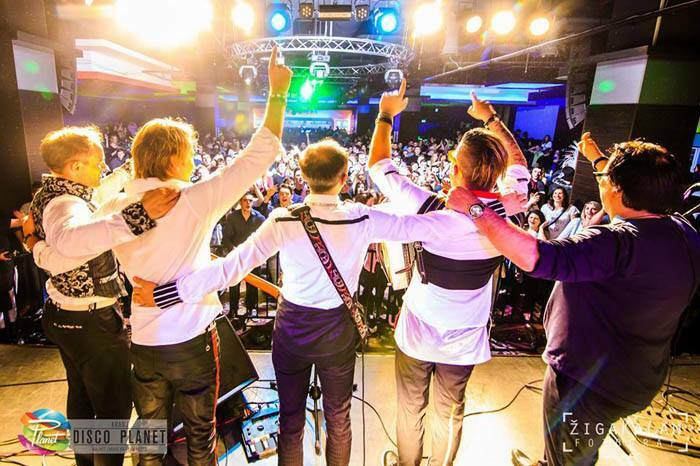 And the following day, at the same location, there will be a concert by Mambo Kings. 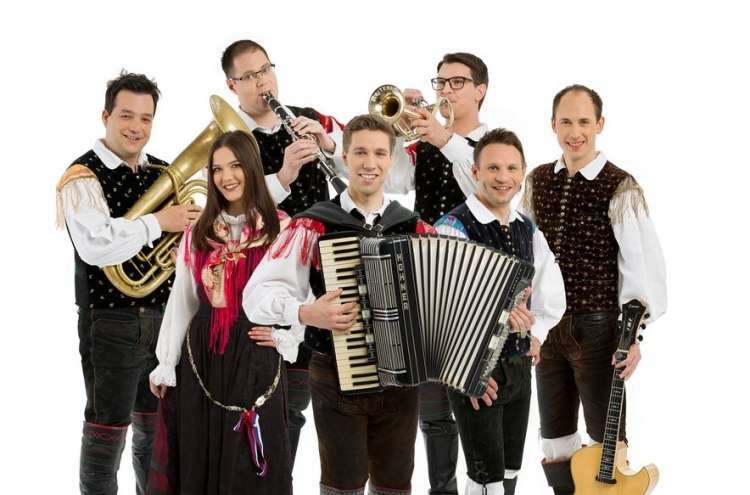 On New Year’s Eve you can take your pick of either New Year’s Eve outdoors in Stara Fužina, with entertainment from 9pm, or New Year’s Eve with the Avsenik Ensemble in Ribčev Laz, also from 9pm. Elsewhere, in Bohinjska Bistrica during winter there is an ice rink next to the Mercator centre, on 1st December the Christmas lights will be officially switched-on in the village of Srednja vas, and kids won’t want to miss a visit to Santa’s Land. So, enough to be getting on with then in addition, of course, to eating, drinking and being merry during the festive season. First, let’s get something straight, Bohinj Lake and the surrounding areas are always beautiful, whatever the weather! 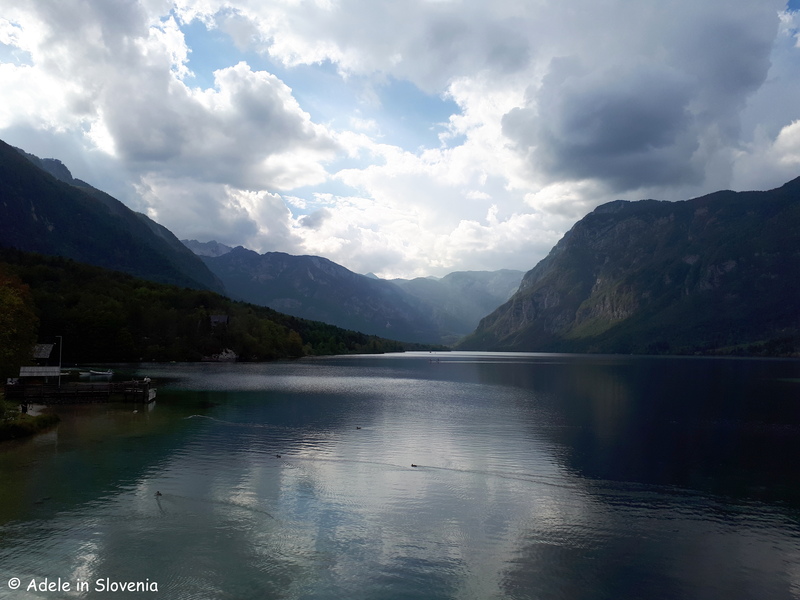 Try as they might, even on a dull and seemingly dismal day, the lake and surrounding mountains of the Julian Alps fail to look anything but beautiful and still have a certain charm. The way the light penetrates through the clouds casts shadows and reveals a different perspective, making it seem almost even more majestic and magnificent. However, of course there are those wash out days when it rains, rains, and rains some more for good measure, which can be frustrating when you want to get out there exploring all that natural beauties in the area. So, in this blog, I have provided a few ideas of what to see and do on rainy (or even snowy!) days in the Bohinj area, since, as we all know, the weather is the one thing that none of us have any control over, so we just have to make the best of it! 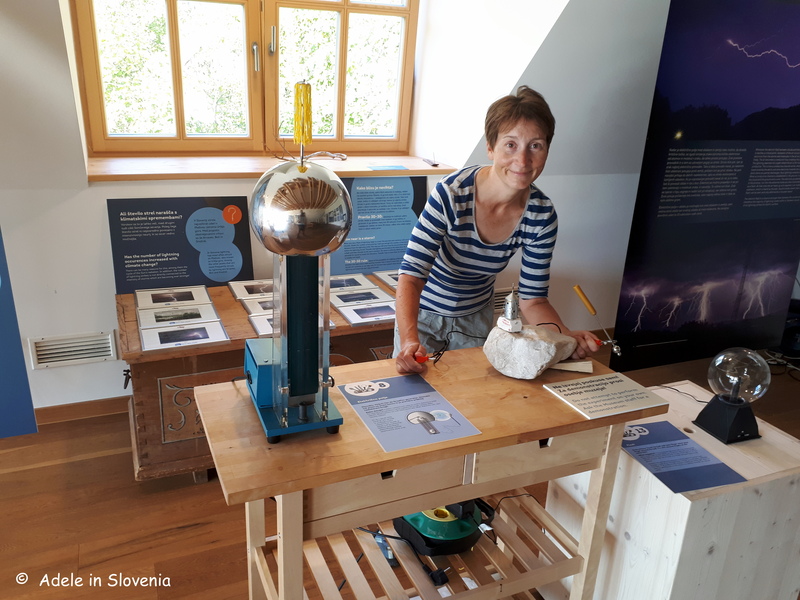 A great place to while away some time is the Triglav National Park Information Centre in Stara Fužina. … and, as you can see, they’re not bad on a partially cloudy day too! … or challenge yourself by trying out the various experiments. 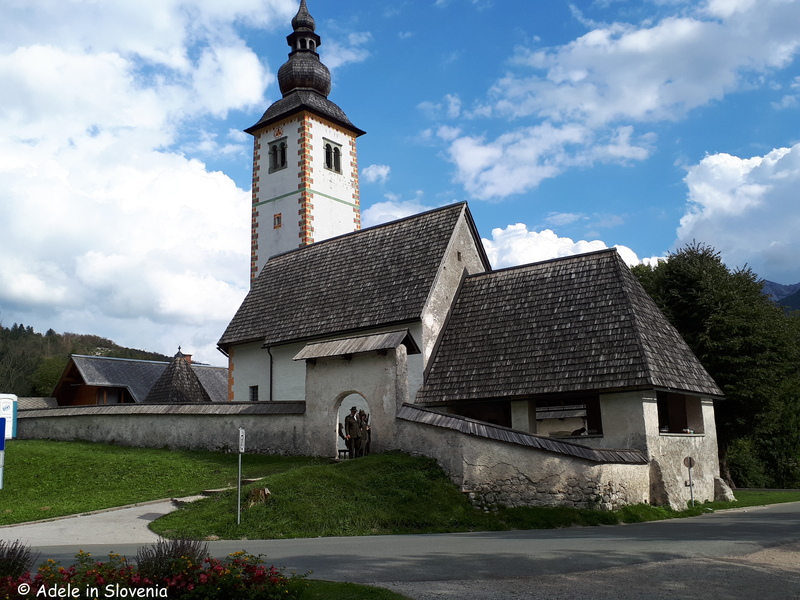 You may have noticed that Slovenia certainly has no shortage of churches – 800+ in fact! 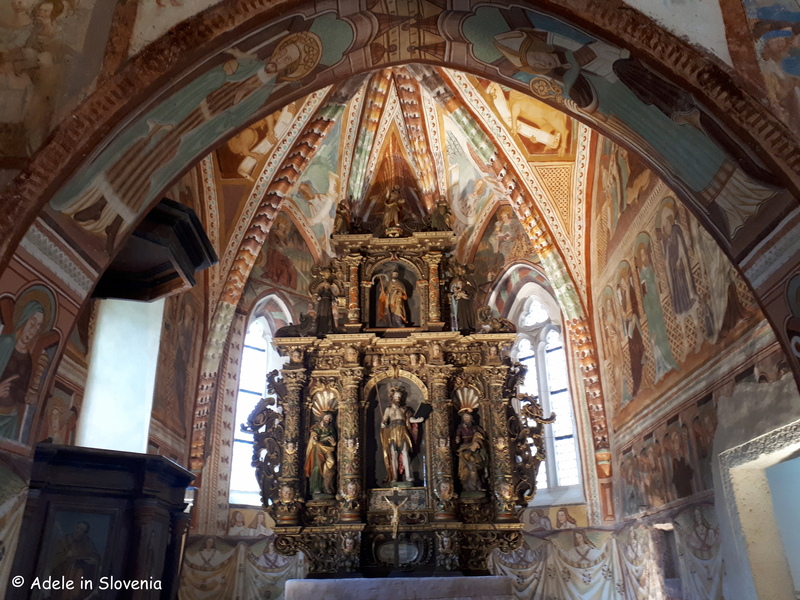 And whilst it looks like a fairly ordinary church from the outside, the interior of the Church of St. John the Baptist in Ribčev Laz is among the most ornate. 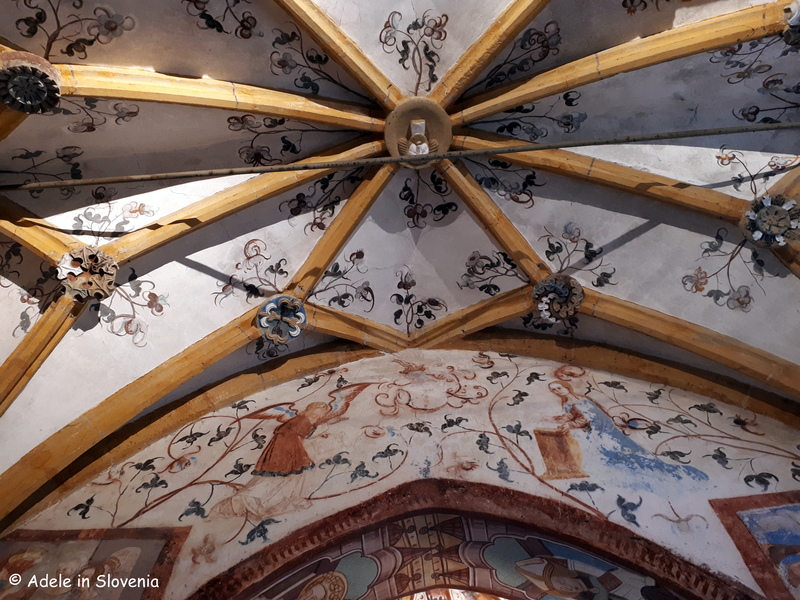 The walls and ceilings of the Gothic presbytery feature exquisite 15th and 16th century frescoes. 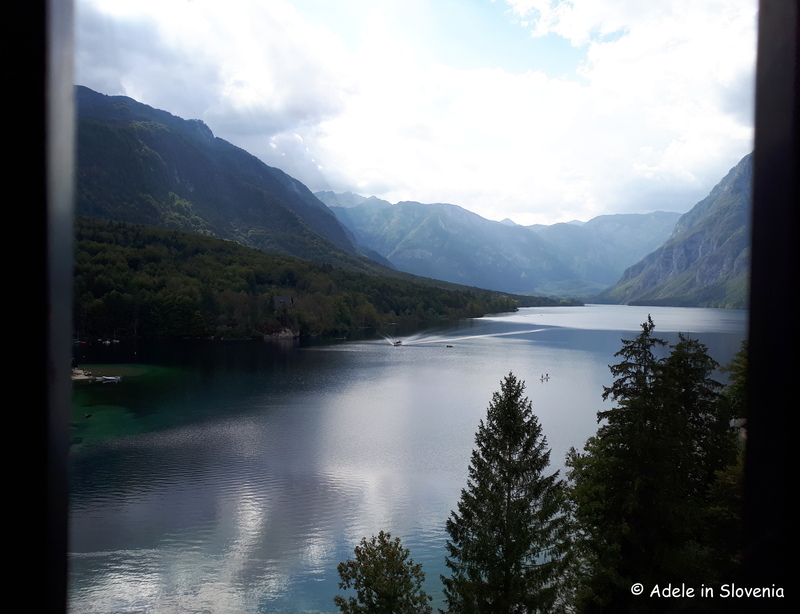 Climb the steep stairs up to the bell tower for fantastic views and yet another entirely different perspective of Bohinj Lake. If you yearn for a bit of culture, then there are three museums in the local area. 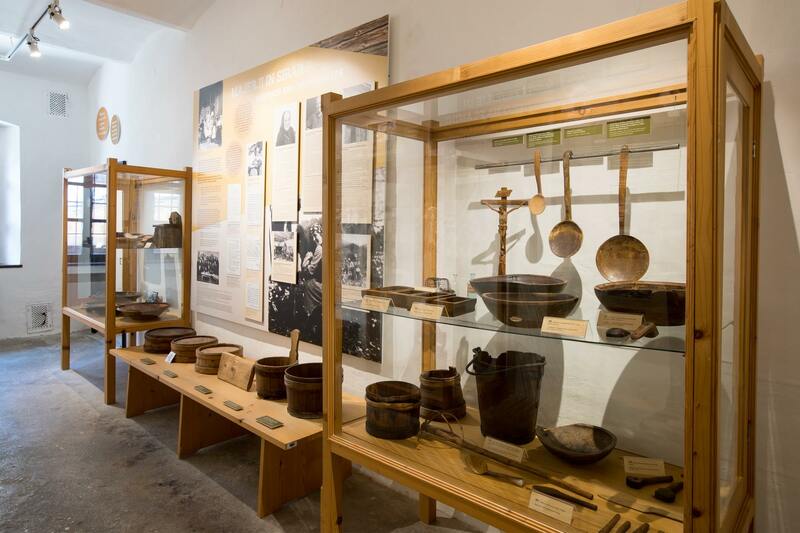 The Tomaž Godec Museum in Bohinjska Bistrica is housed in a reconstructed tannery. 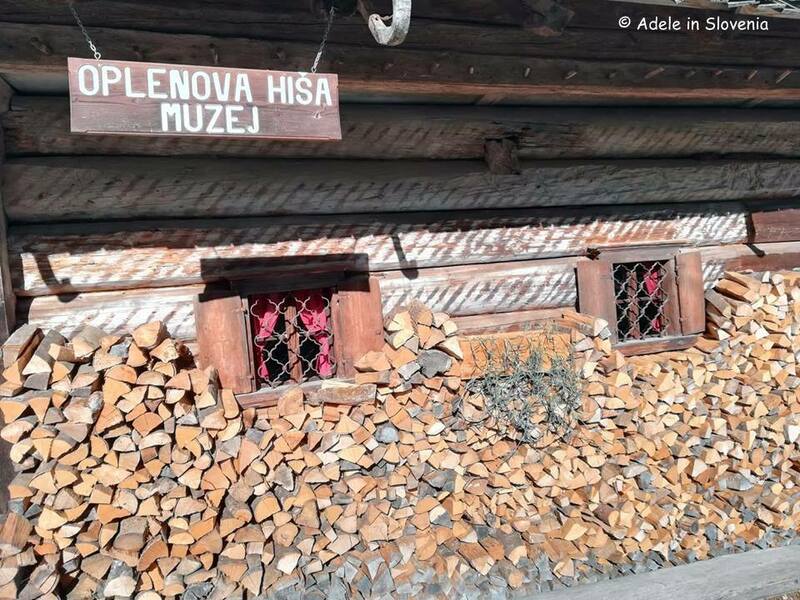 The museum is named after its former owner, a Partisan who, in addition to being a top sportsman and mountaineer, played a role in the formation of the former Yugoslav Communist Party. 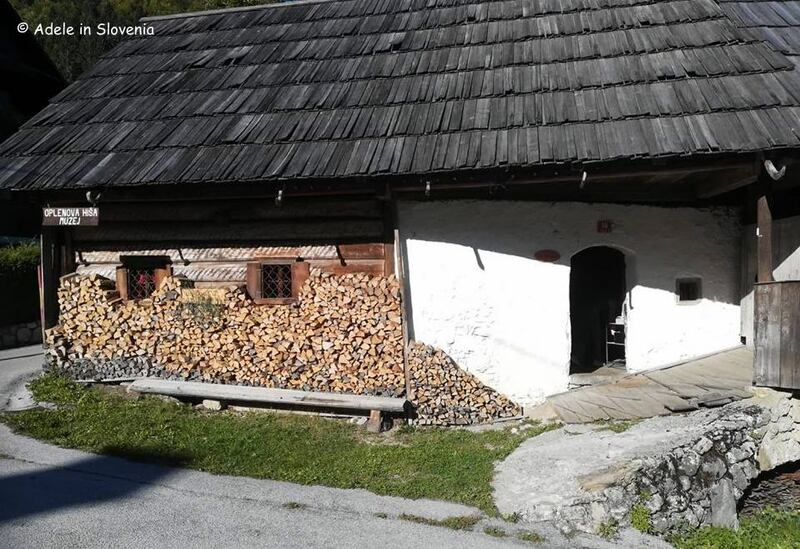 The Oplen House Museum (Oplenova hiša) in the village of Studor, which is known for its toplar hayracks, offers visitors an insight into life in Bohinj in the past. 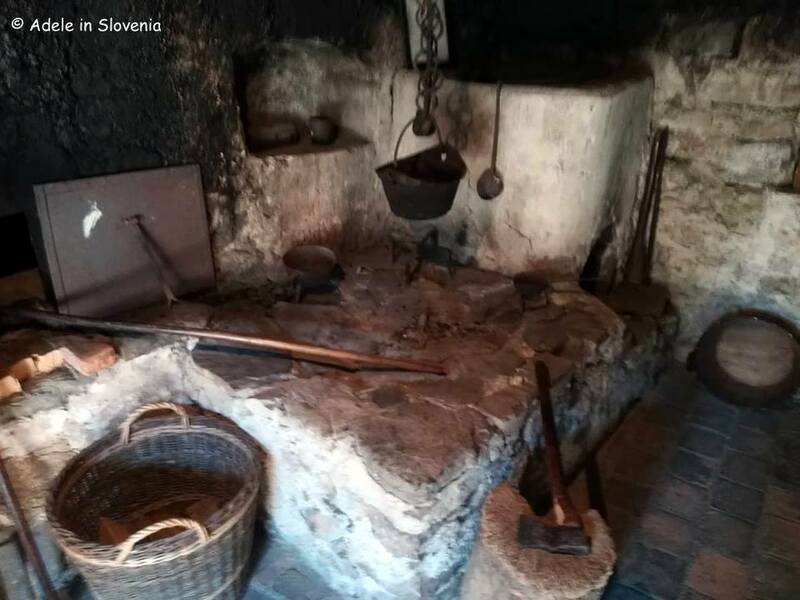 It features an original black smoke kitchen, as well as numerous other original tools, equipment and household objects. 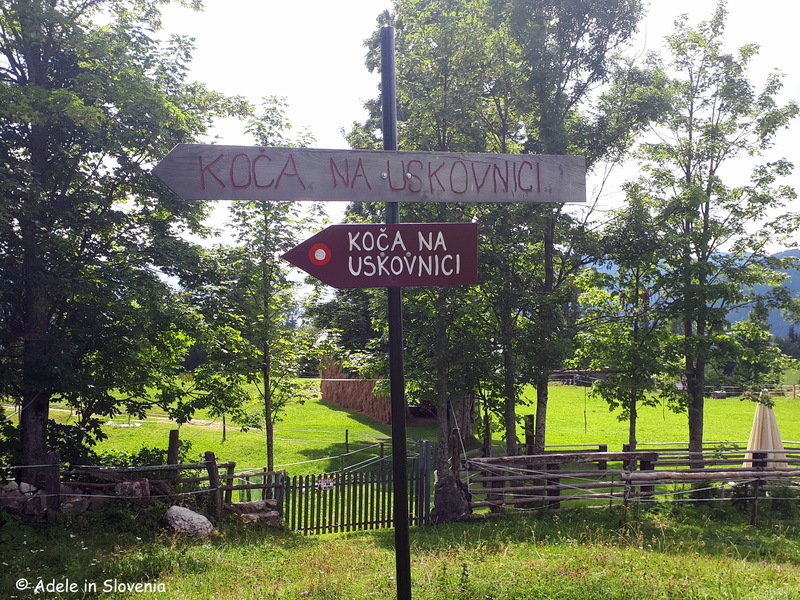 The Alpine Dairy Farming Museum, housed in a former dairy in Stara Fužina, offers an insight into life in the past for herdsmen who lived and worked on Bohinj’s numerous mountain pastures. 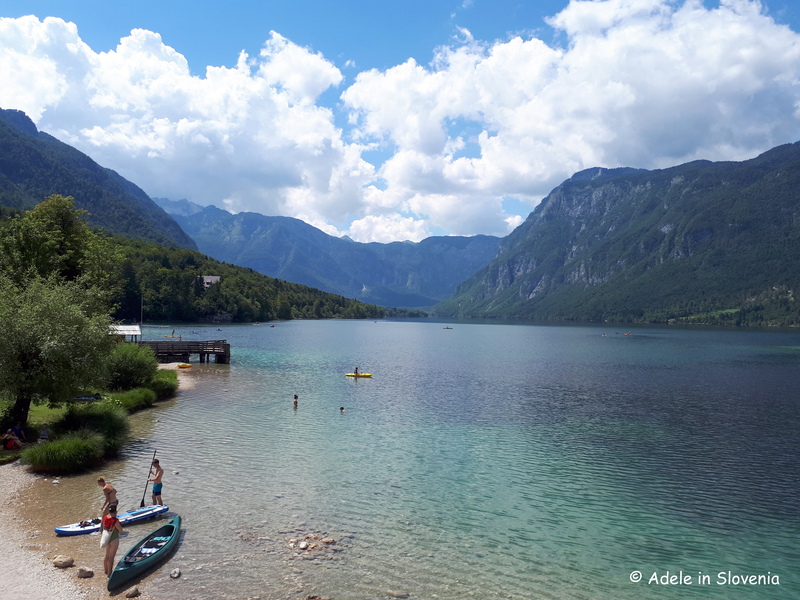 If you’d like to have a splash, but on your own terms, then the Bohinj Water Park in Bohinjska Bistrica is the place to head! It features a recreational pool, a children’s pool, a jacuzzi and sauna, as well as a wellness centre for those seeking a little R&R. 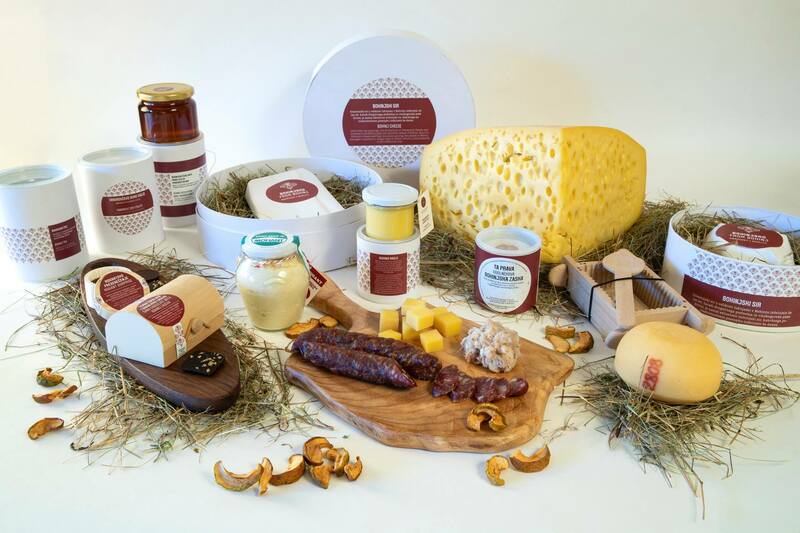 And of course, food is always the answer, regardless of the question or the weather, so be sure to check out the From Bohinj range of foods and products, which makes ideal gifts for you or your loved ones back home. So, don’t let the rain stop you, embrace it and just get out there and see a different side of Bohinj! 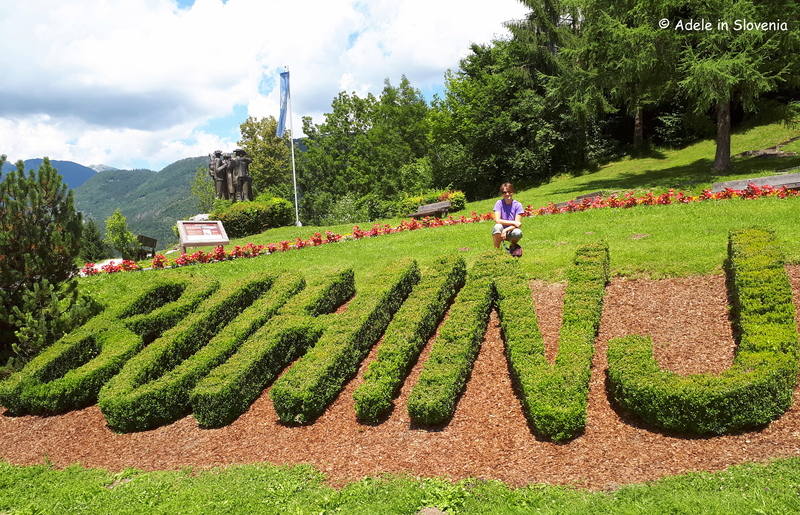 Visit the official Bohinj website here for more information about the above and even more ideas for what to see and do in Bohinj and Triglav National Park. 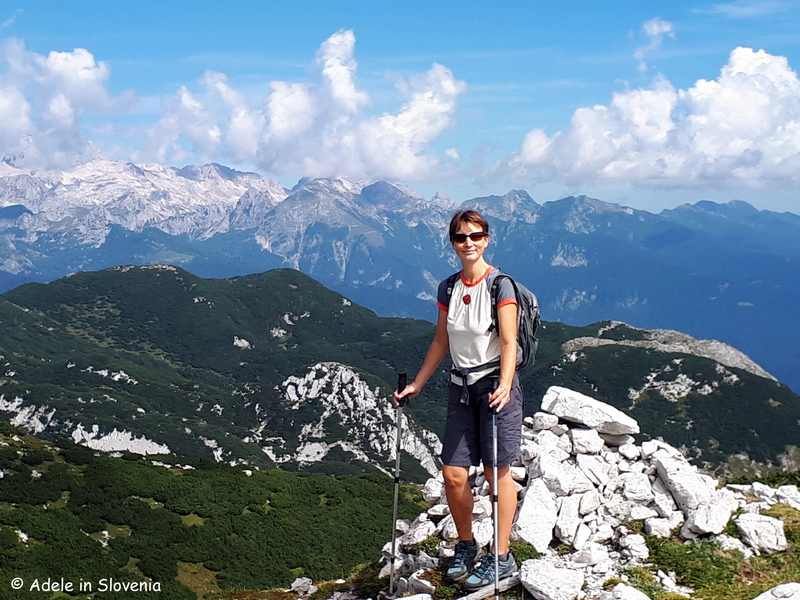 Though summer will always be my favourite time of the year in Slovenia, autumn comes a close second, particularly when it comes to my favourite pastime – hiking. 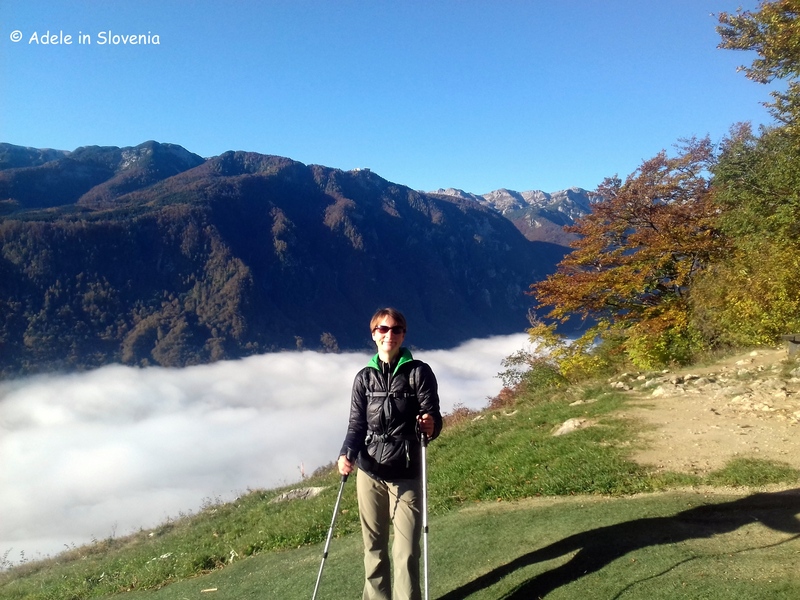 Though I have titled this blog ‘Best Autumn Hikes in Bohinj‘ in truth it’s almost impossible to pick the ‘best’ hikes in an area with so much natural beauty and so many amazing hiking trails. 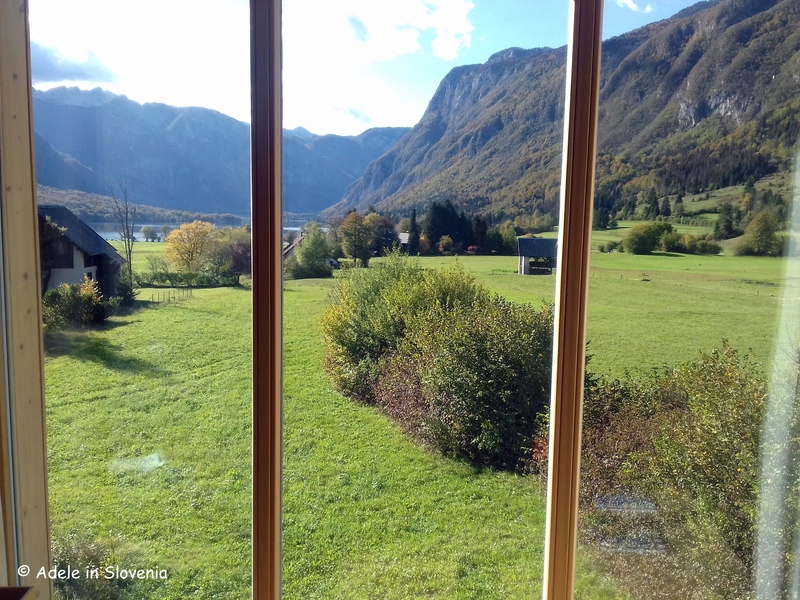 So, below are just a few of my favourite autumn hikes in Bohinj and Triglav National Park. 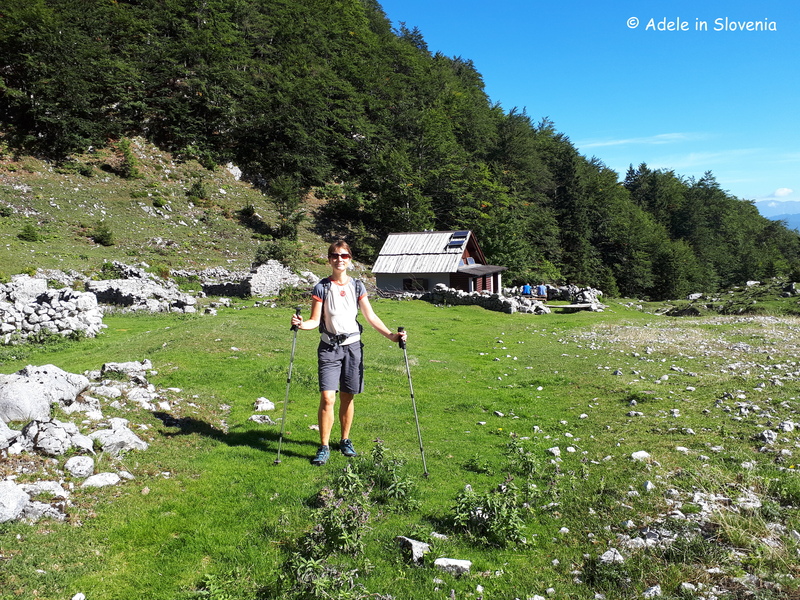 To the south of Lake Bohinj, the Lower Bohinj mountain range offers wonderful hikes to suit all; shorter linear walks, longer circular walks or hut-to-hut hikes. 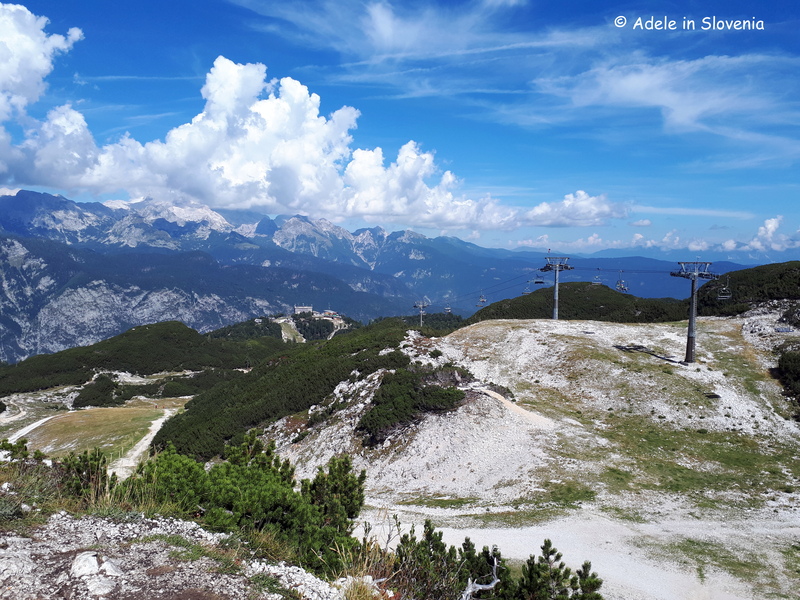 As the days shorten in autumn, you can also make great use of the Vogel gondola to take you up or down – I prefer the latter, though I’m guessing I’m in the minority when it comes to that! 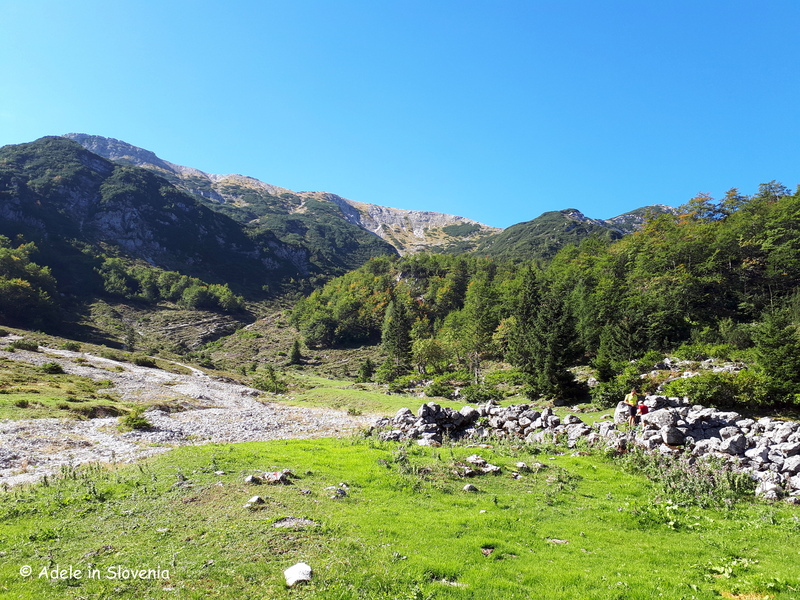 I love walking along the ridge, or part of it, that runs between Črna Prst, above Bohinjska Bistrica, to Rodica and onwards to the peak of Šija and down the ski slopes to the Vogel ski resort. 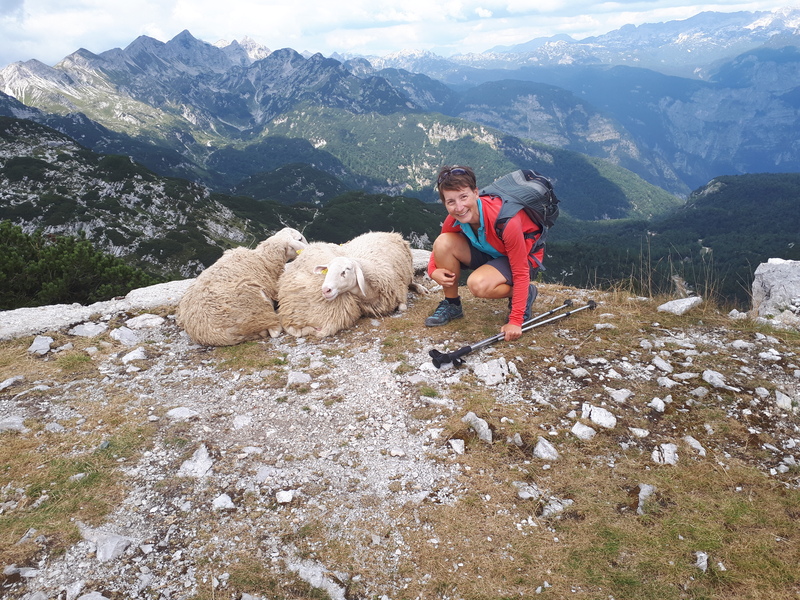 Below are some of the highlights of my recent hike through the Bareča dolina valley towards Rodica. …before reaching the largely abandoned but nevertheless beautiful Suha mountain pasture. 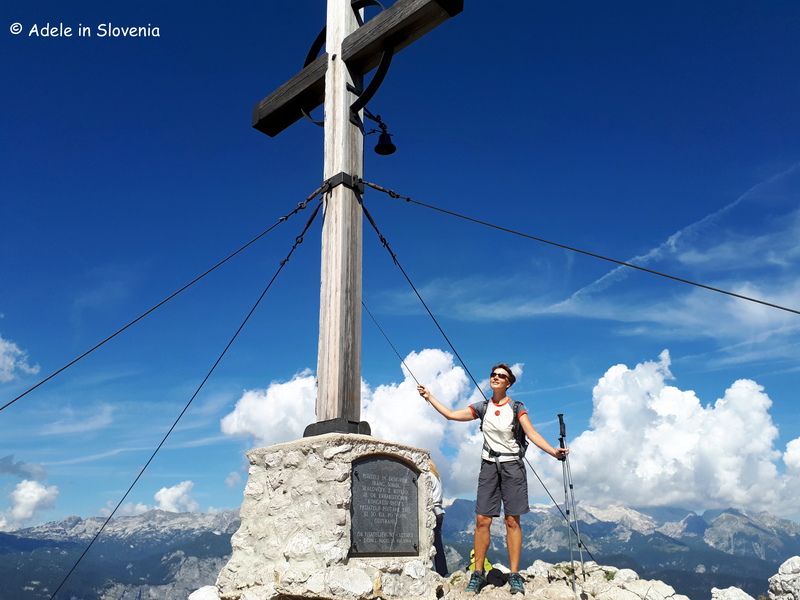 From here its onwards and upwards to the Čez Suho saddle, where, on a fine day, you are richly rewarded with views as far as the eye can see of the surrounding peaks of the Julian Alps and, to the south, towards Slovenia’s Primorska region. You can also see the path(s) ahead and then take your choice. Turn left for Rodica or right towards Vogel. 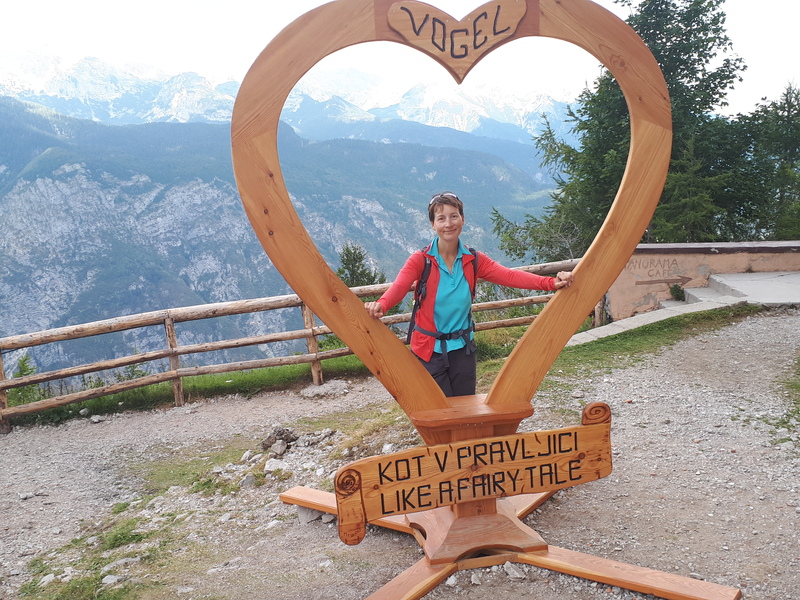 On reaching the saddle beneath Šija, it’s just a short 15 minutes to the top, before heading down the ski slopes to the heart of the Vogel ski resort. The paths are well marked throughout. And stopped to ring the wishing bell! .before reaching Vogel, which is, indeed, ‘Like a fairytale’! 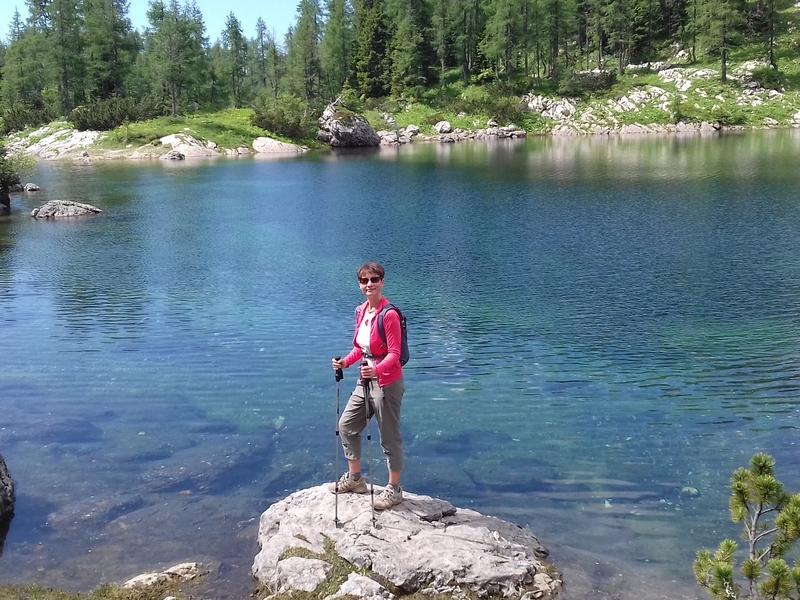 In autumn the hugely popular 7 Triglav Lakes Valley is far less crowded so you can enjoy the best of the valley whilst, at times, even feeling like you have it all to yourself! 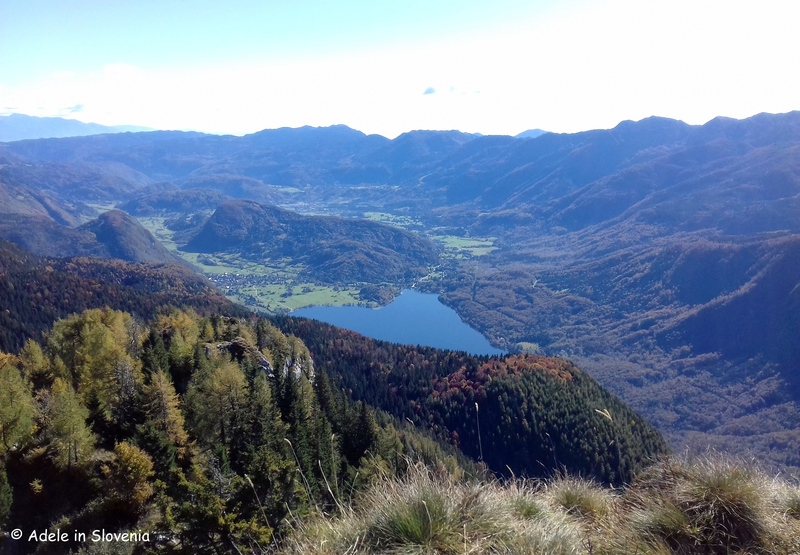 Without doubt one of my favourite autumn hikes is to Pršivec, a viewpoint on the north side of Lake Bohinj, where in autumn the colours of the surrounding larch trees, combined with the stunning views of the lake and the surrounding peaks, is truly magnificent. There is often fog lingering above the lake in autumn, and on reaching the viewpoint at Vogar, you get that smug feeling of being, almost, on top of the world! 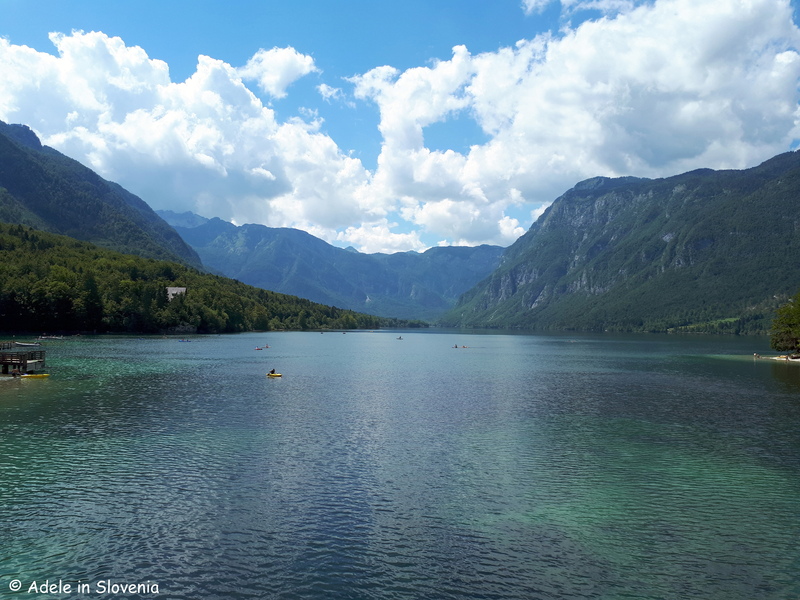 Lake Bohinj is at its most spectacular when viewed from Pršivec. It almost seems heart-shaped, well, it certainly captures the heart of all who see it! 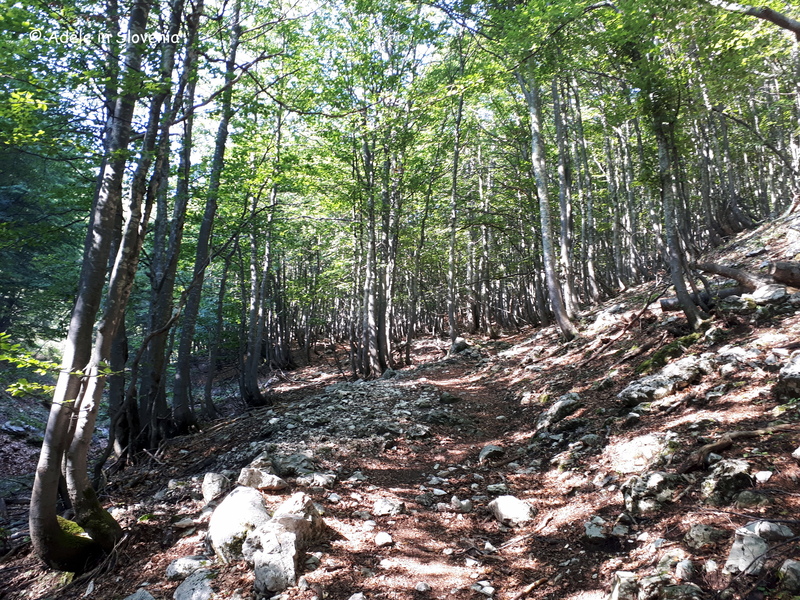 I hope this has provided at least a few ideas for autumn hikes in Bohinj; there are countless others, too. So, what are you waiting for, it’s all there, ready for the taking – or rather the hiking! 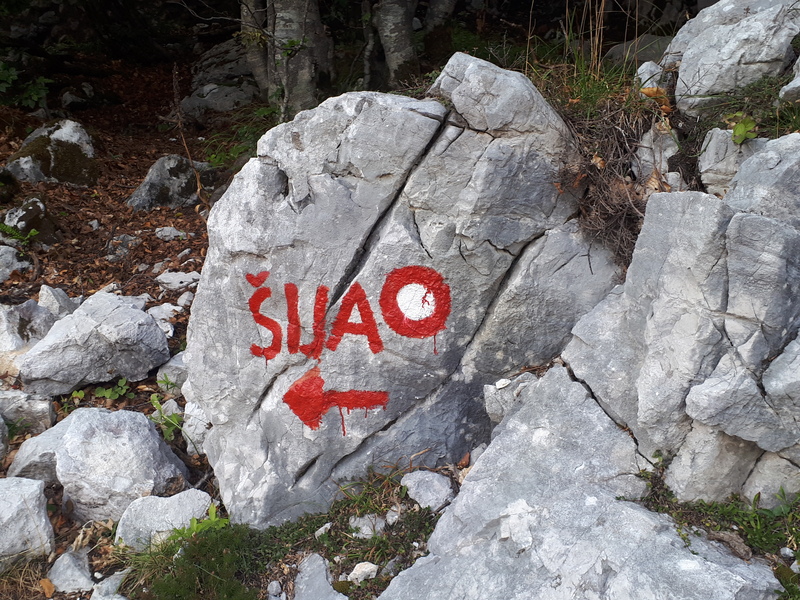 Click here for more about what else to do and do in autumn in Bohinj and here for advice on hiking in Bohinj in autumn. 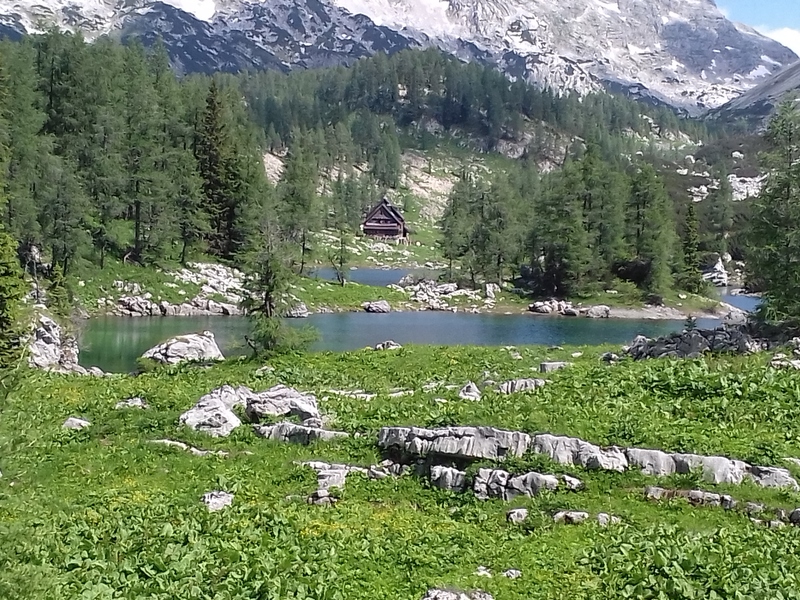 Triglav National Park, Slovenia’s only national park, extends over an area of 880km2 and covers almost the entire area of the Julian Alps in Slovenia. 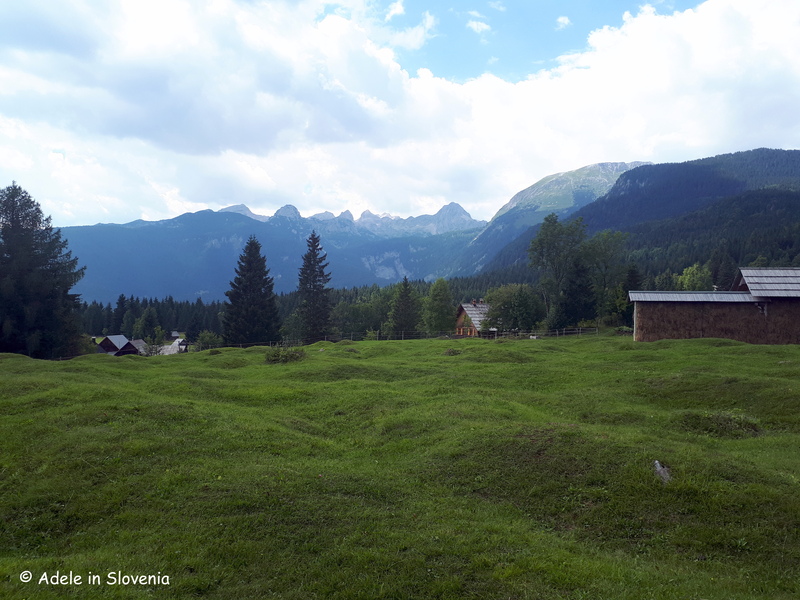 Whilst many visitors to Slovenia, particularly those who visit to hike in the Julian Alps, are familiar with areas such as the ever-popular 7 Triglav Lakes Valley, and Slovenia’s highest mountain, Triglav, another area that is well worth a visit is the oustandingly beautiful Pokljuka Plateau, which during summer you can visit for FREE courtesy of the Hop-On Hop-Off Bohinj to Pokljuka bus. 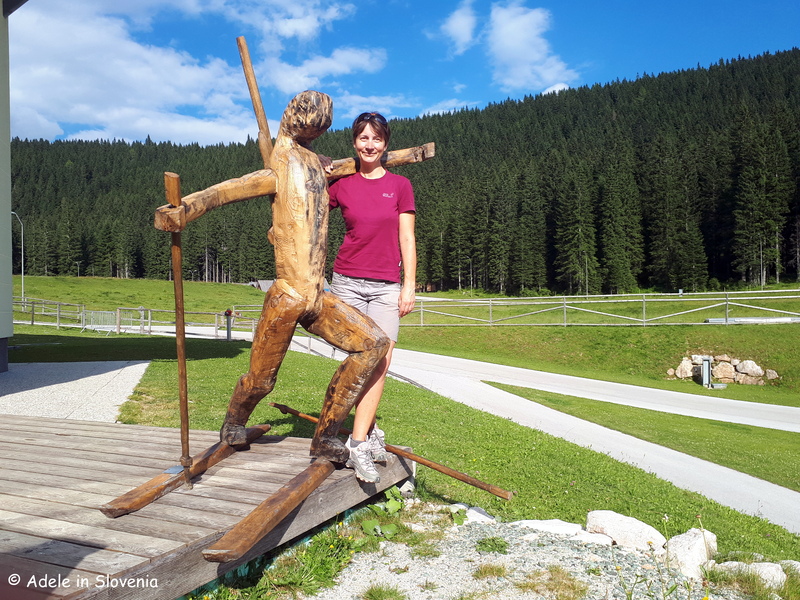 The Pokljuka plateau is a paradise for lovers of the great outdoors, and offers activities year-round: hiking and cycling in summer, downhill and cross-country skiing, biathlon, snowshoeing and hiking in winter. The forested Karst plateau is around 20km in length and at an elevation of 1,100-1,400 metres. 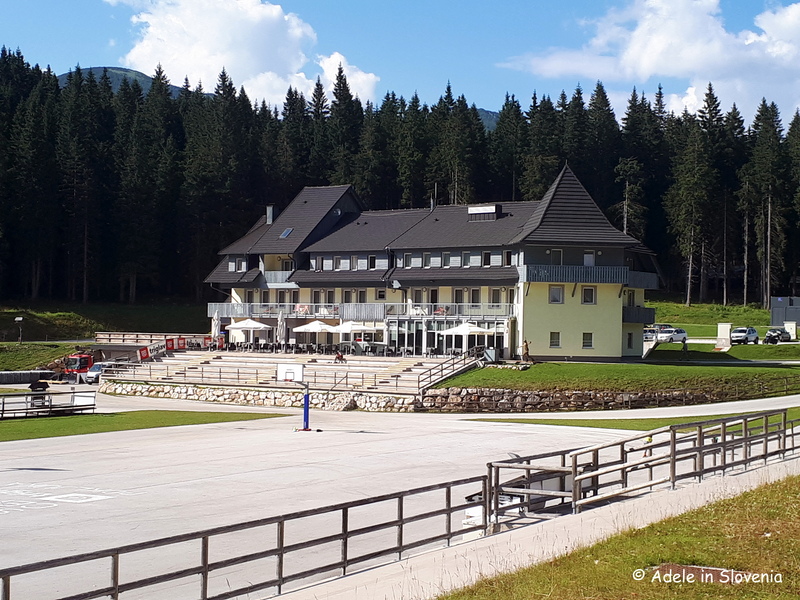 Since parking charges have this year been introduced for the first time on Pokljuka, taking the Hop-On Hop-Off bus makes even more sense from both a financial and environmental perspective. 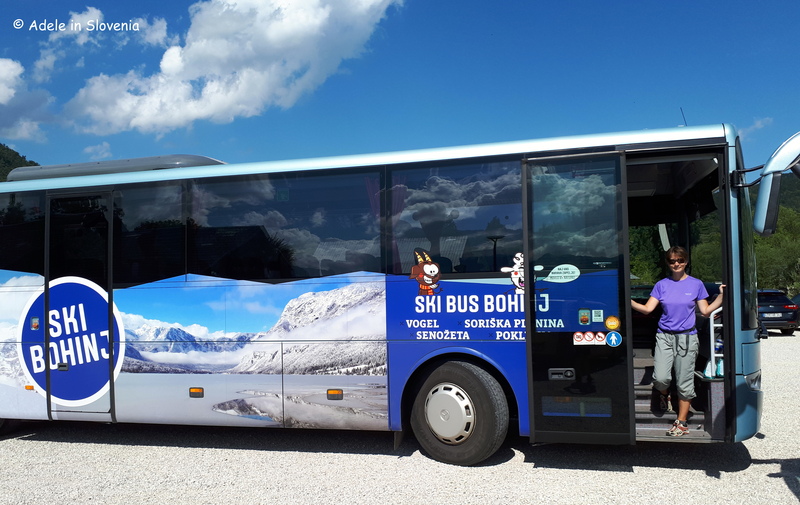 The FREE bus runs three times per day from the Lower and Upper Bohinj valleys to the Triglav Pokljuka Sports Centre at Rudne polje on Pokljuka. Click here for the timetable. Since Pokljuka is also a popular destination for cyclists – road cyclists enjoy the challenge of the long road that winds its way up to the plateau from either Bled or Bohinj, whilst mountain bike enthusiasts enjoy the gravel roads that criss-cross the plateau, the buses are also equipped with bike brackets and each bus can accommodate up to six bikes. 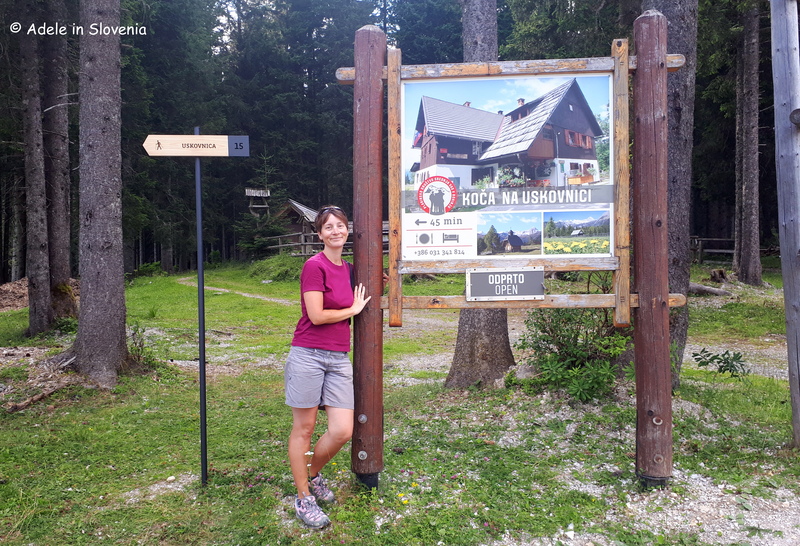 Personally, I love hiking on Pokljuka, both in summer and winter, though summer is, and always will be, my favourite time of year! 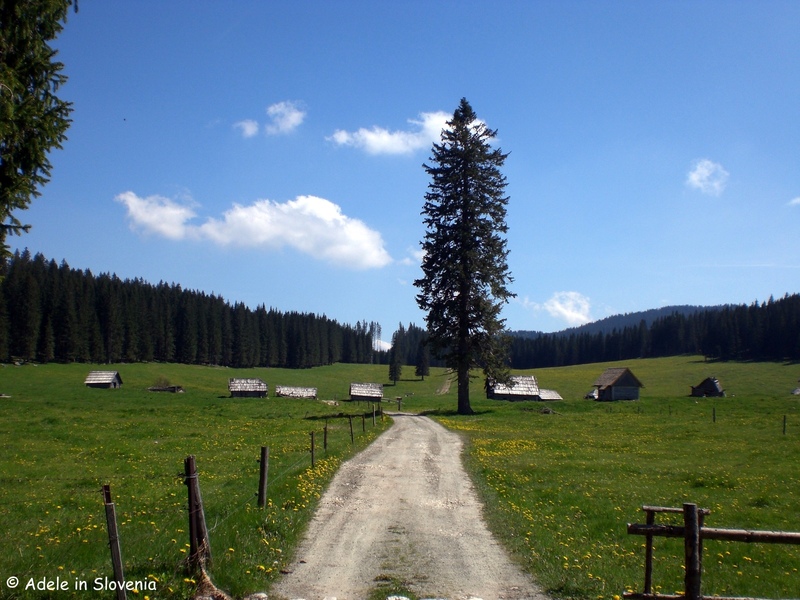 There are walks to suit all levels – from easier, shorter walks to Pokljuka’s many mountain pastures, to more challenging hikes to its peaks. 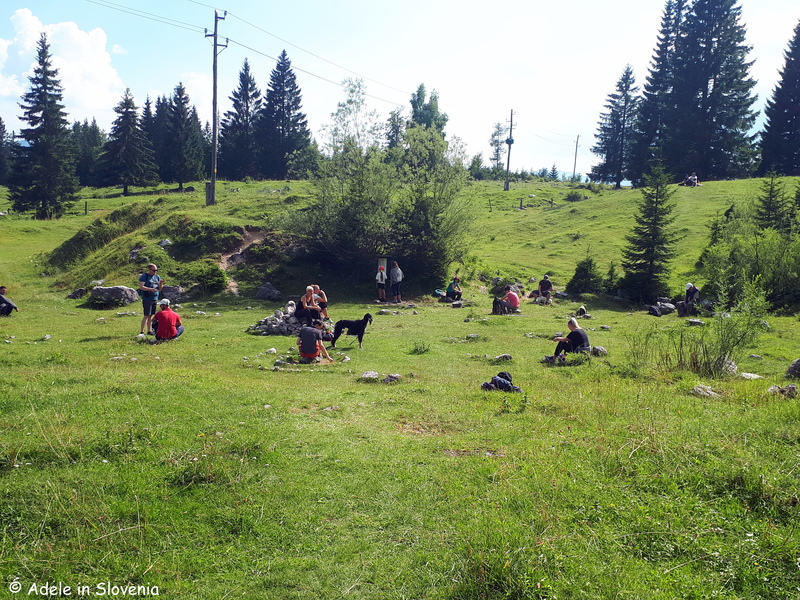 If you are seeking a walk for all the family, I highly recommend walking from Rudne polje to the picturesque Uskovnica mountain pasture with its numerous small wooden chalets and interesting hummocks. 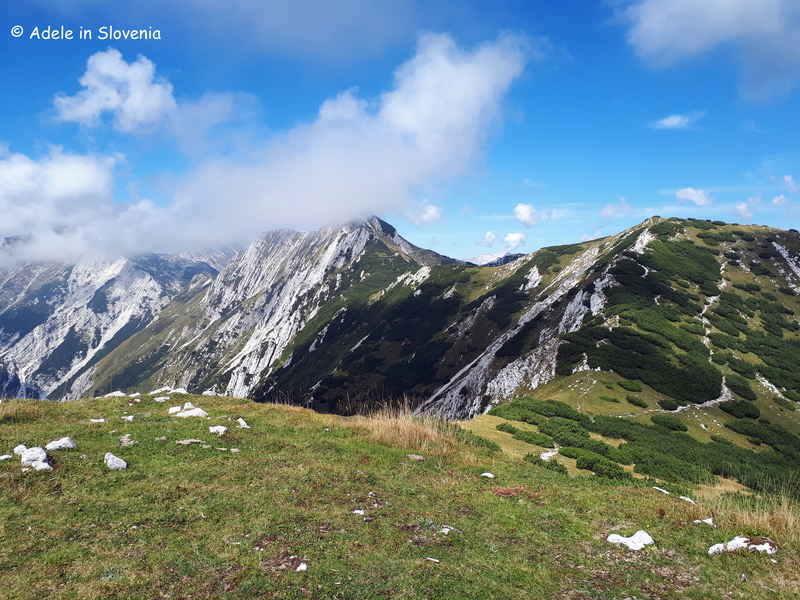 The route is well-marked and it only takes about 45-50 minutes to reach the pasture and the Koča na Uskovnici mountain hut. The way there is pretty much all downhill, of course that does mean a bit of uphill on the return trip, but after a stop at the hut for some delicious blueberry strudel or one of the other homemade dishes, you will be raring to go! 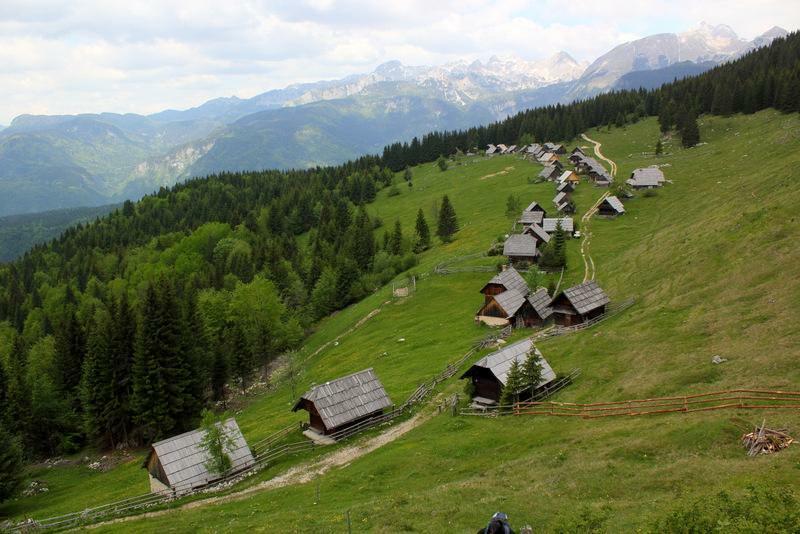 During summer on Pokljuka you can also buy cheese at one of the working dairies or mountain pastures. En-route to the pasture you reach an ‘energy field‘, which attracts people from far and wide who come to sit on the various energy points that are believed to be beneficial for various ailments. 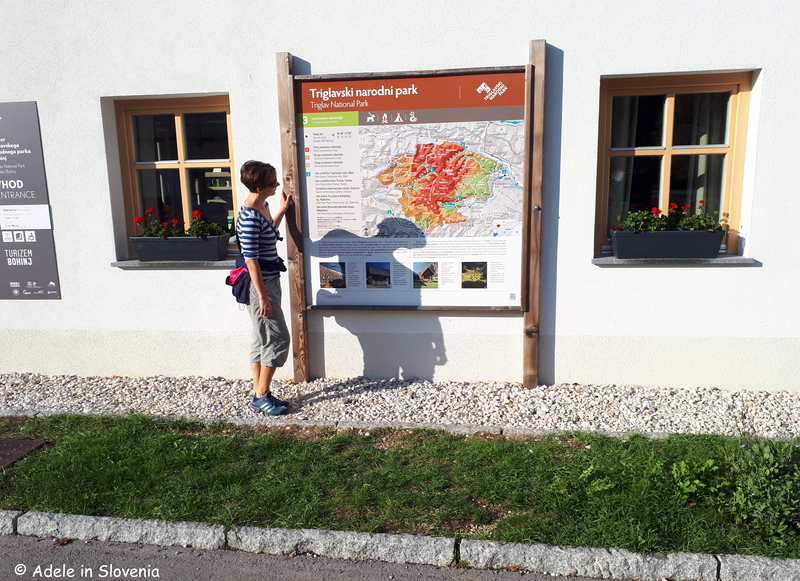 There is an information board (in Slovene only) giving details of which point is for which ailment and how long should be spent at each point. I must admit to being rather cynical about such things, but if the number of people (and even dogs!) there every time I visit is anything to go by, I’m in the minority! So, why not go and try it out, and let me know the result(s)! Uskovnica has one of the cutest little wooden chapels around. Here I am with parents on their recent visit! Those looking for more challenging hikes are spoilt for choice. 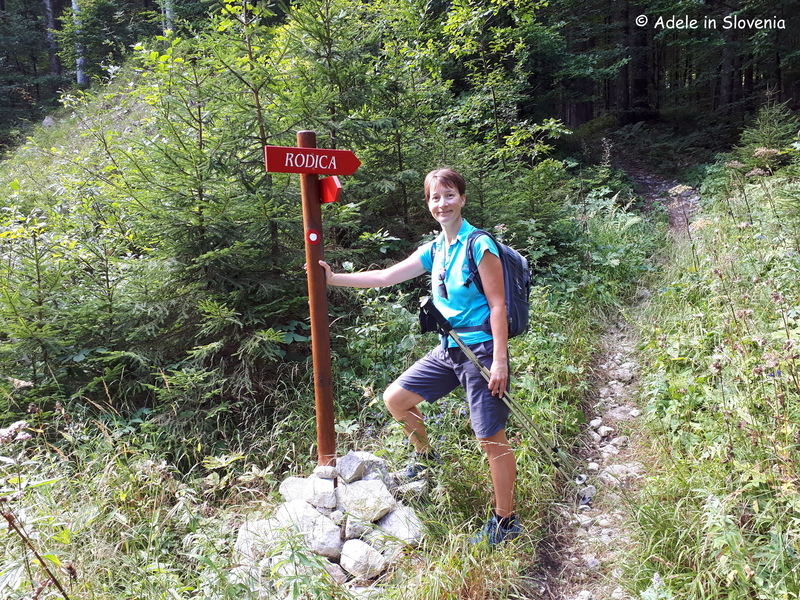 As you can see below, from Uskovnica, as well as from Rudno polje, there is a wide choice of paths to hike. 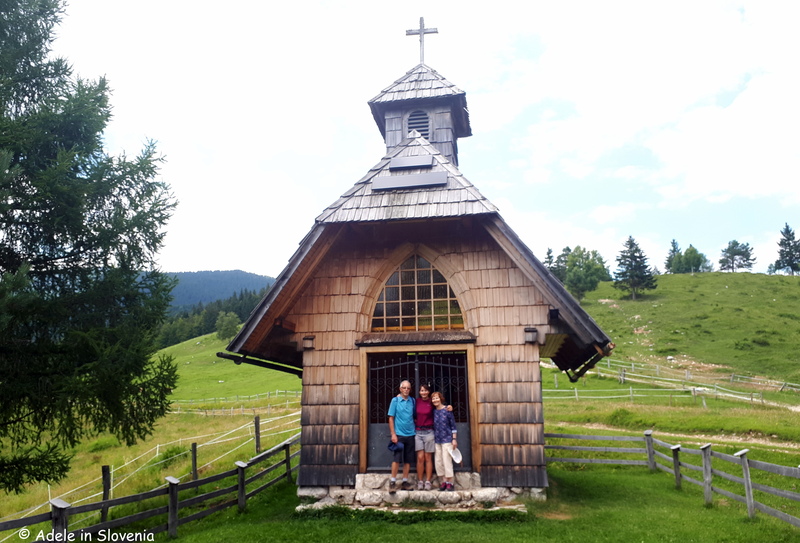 Among the most popular are the Zajamniki mountain pasture, Debela peč, the highest point of the Pokljuka plateau at 2,014m, and the peak of Viševnik, 2,050m. 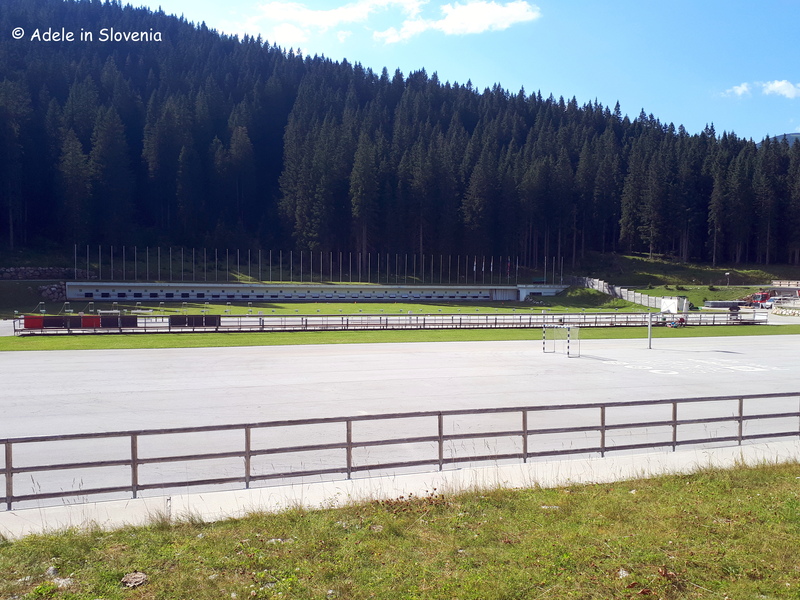 After our walk we returned to the biathlon centre where we enjoyed a(nother!) drink at the hotel, ensuring we timed it right to catch the Hop-On Hop-Off bus back to the valley. 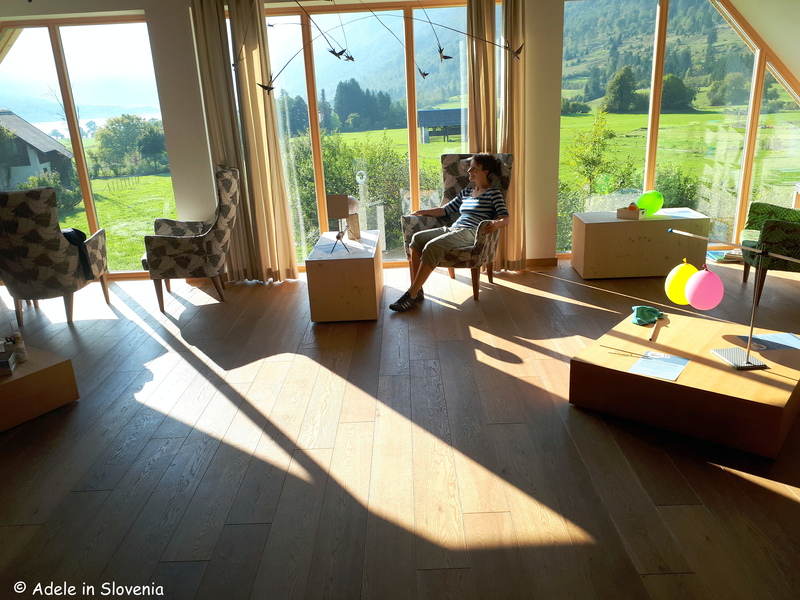 Even when the Hop-On Hop-Off bus ends its run for the season, from wherever you are staying in the Bohinj area you are never more than a 30-45 minutes drive from Pokljuka, and you can visit year-round. Click here for more information and some interesting facts about Pokljuka. 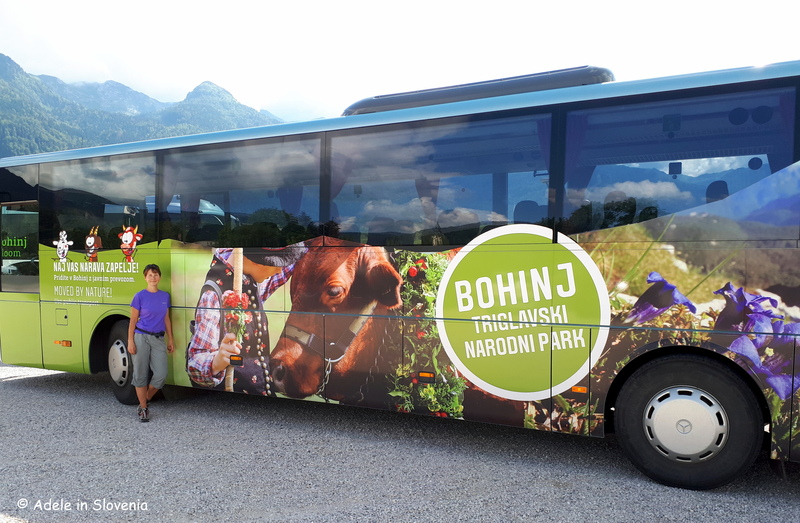 This summer you can take advantage of the new shuttle system in Bohinj, which enables visitors to leave their cars and cares behind and enjoy the beauty of Triglav National Park. By parking in the one of the designated car parks and taking a bus, not only does it remove the stress of looking for somewhere to park, but it’s more environmentally-friendly and easy on the wallet too – in fact it’s FREE – so what’s not to like?! I went to try it out for myself last Friday and it really is as easy as pie. 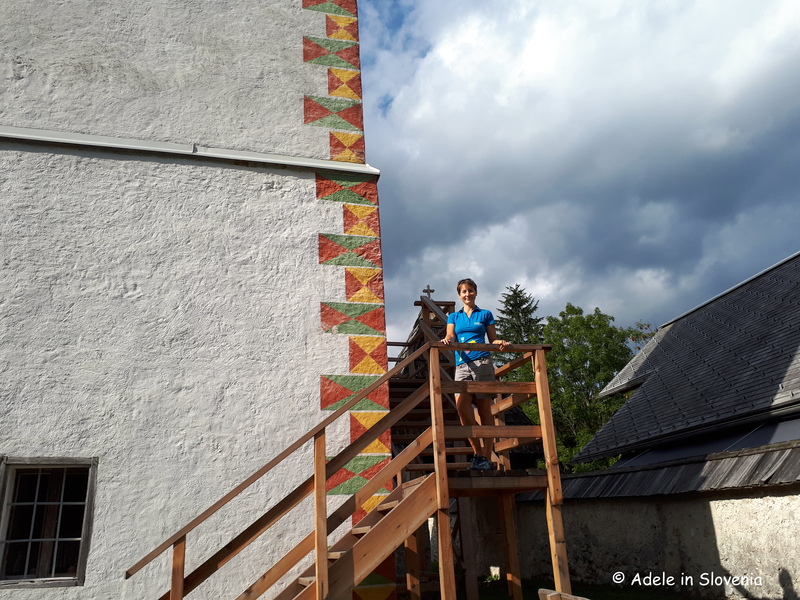 So join me on my journey to Bohinj! 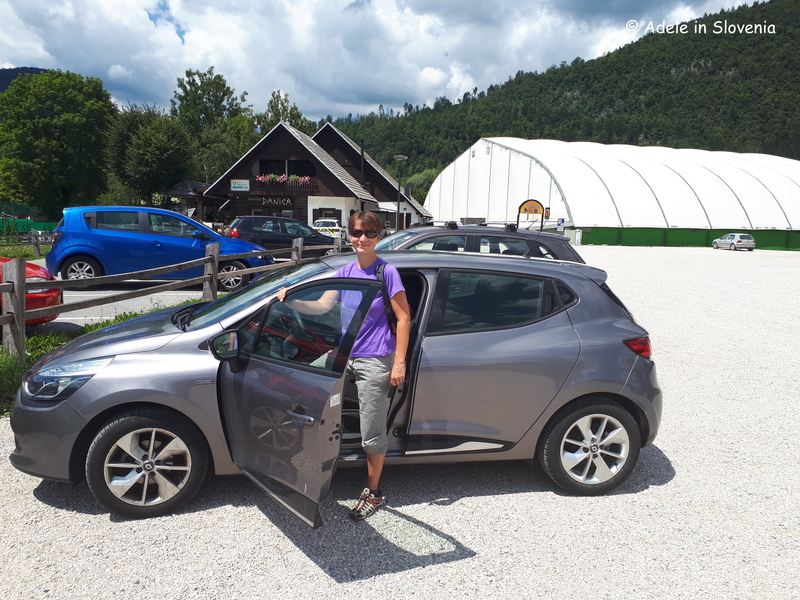 First, park your car in the large FREE car park at Camp Danica in Bohinjska Bistrica. Next, take a FREE ticket from the machine and display it on your dashboard. 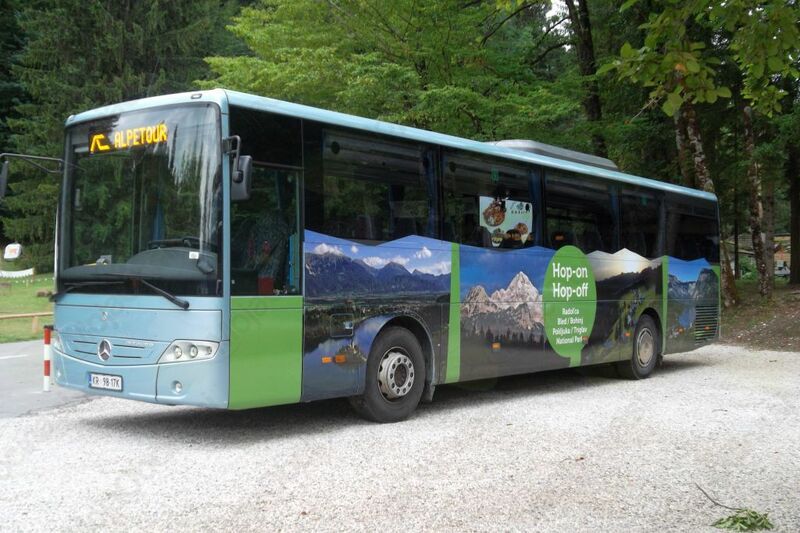 Then just hop aboard one of the FREE buses that run every 15 minutes from 9am to 8pm on Fridays, Saturdays, Sundays and public holidays from Camp Danica to Bohinj lake during July and August, and every 30 minutes in June and September. The buses have various liveries, some easier to spot than others, but all offer the same FREE journey to/from the camp and the lake. All that is left is to sit back and enjoy the short, scenic ride! 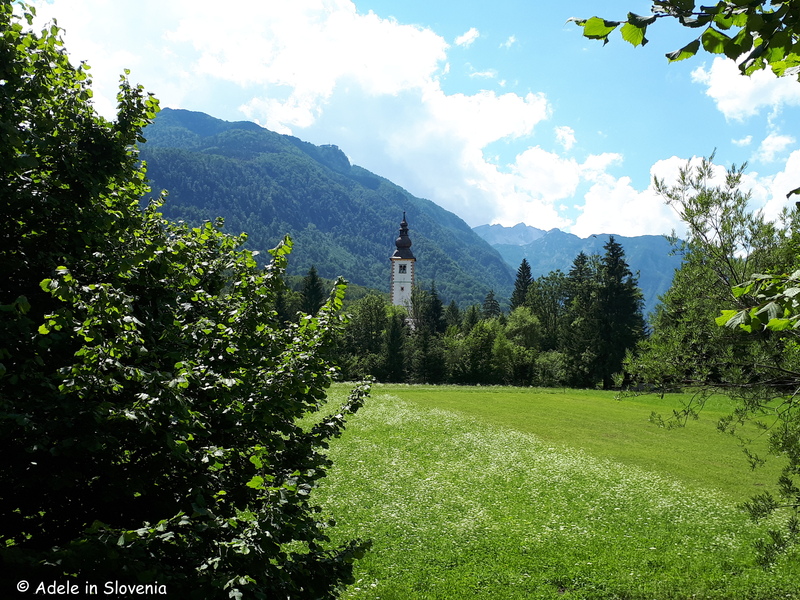 You alight the bus just metres from the lake and the Monument to Four Brave Men – which commemorates the first four men who climbed to the summit of Slovenia’s highest mountain, Mount Triglav (2,864m) in 1778. The rest of the day is yours to enjoy at your leisure, or to be as active as you like in the knowledge that you can easily and quickly get back to your car at day’s end when you have had your fill. Though, does, or can, one ever really have a fill of somewhere so beautiful?! If, however, you are like me, you might like to consider taking a bus one way and walking the other – you get to see more and burn off a few of the calories ingested in ice-cream, too! 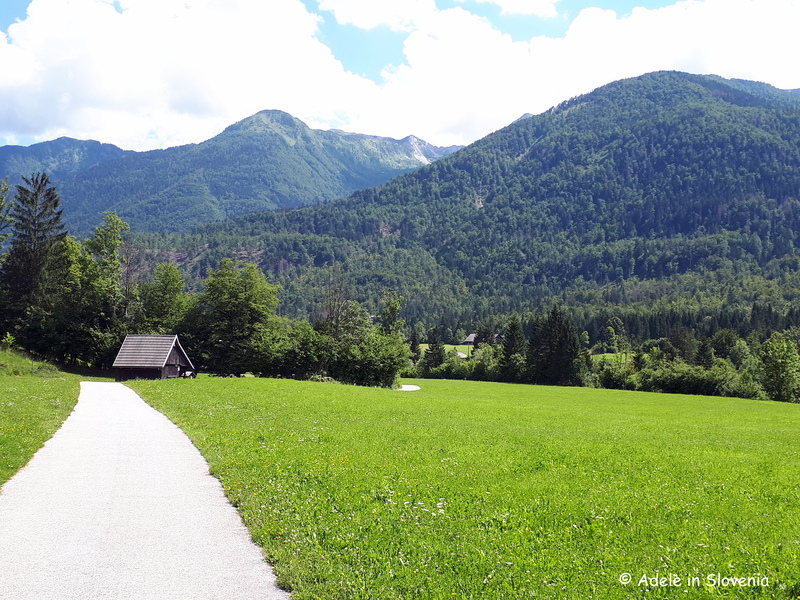 Walking on the traffic-free Bohinj Cycle Route from the lake alongside the Sava River back to the bus stop at Camp Danica (or vice versa) takes around 1.5 hours, though allow more as you will want to stop for photos and soak up (more of) the beauty along the way and at the rest areas. 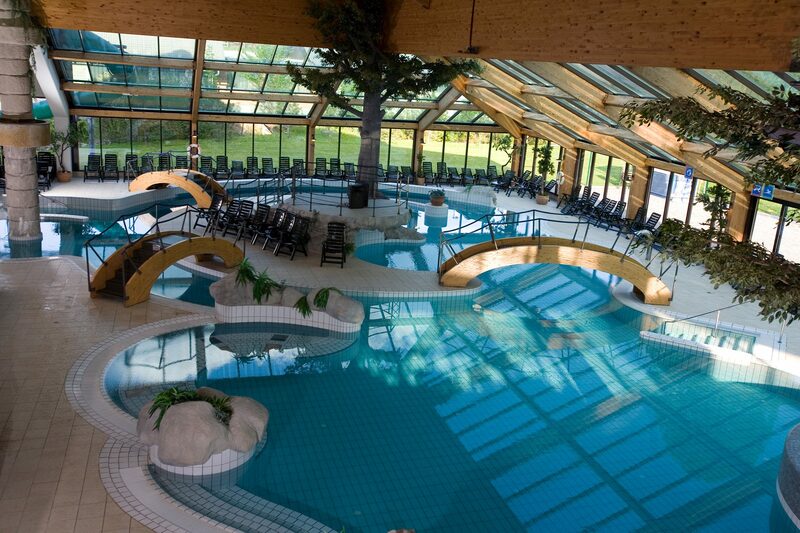 This is just one of this year’s new additions in the Bohinj area. 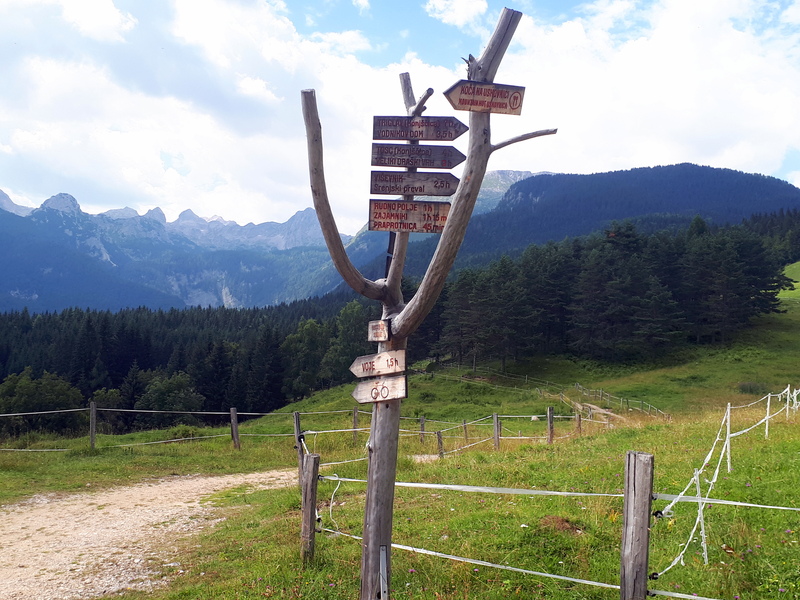 There are also additional car parks as well as buses running from Senožeta to the Blato mountain pasture, a favourite starting place for hikes in the Seven Triglav Lakes Valley, as well as the Hop-On Hop-Off bus to the Pokljuka plateau. 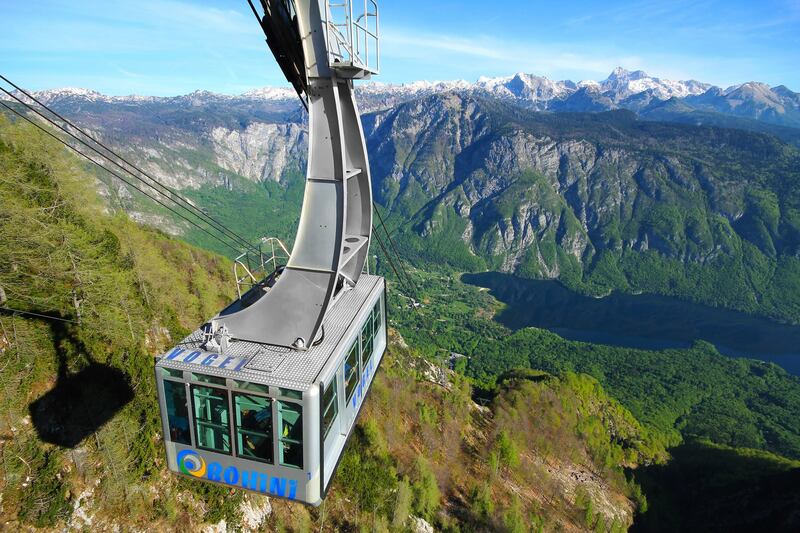 If you are staying in the Bohinj area for at least two nights, you can also avail of the Summer Mobility Card, which provides visitors with free parking, free bus rides and a whole host of other special offers and discounts. 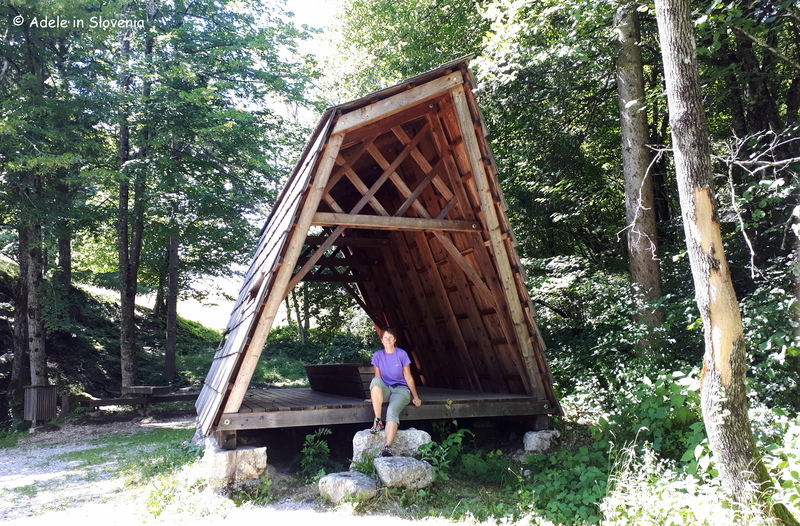 Click here for more about this and what else to see and do in Bohinj, Triglav National Park and the Julian Alps.